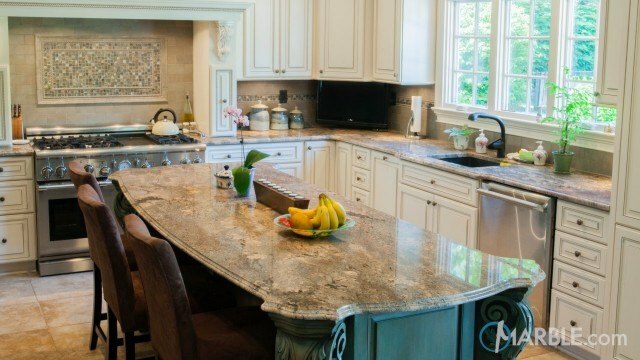 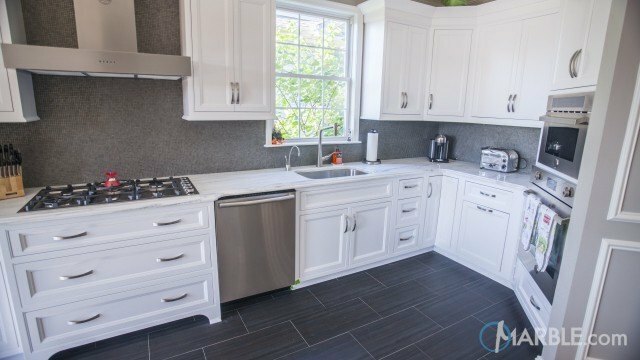 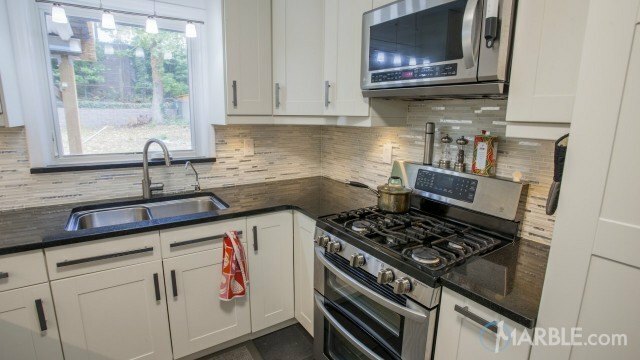 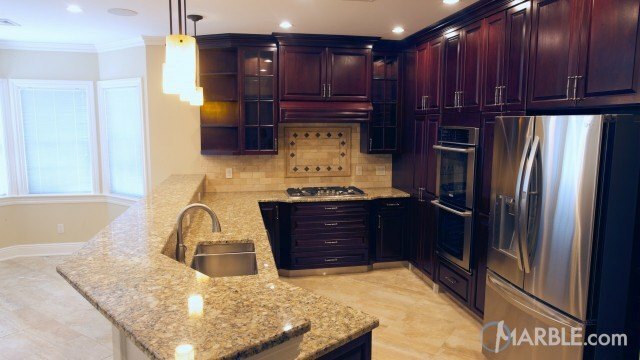 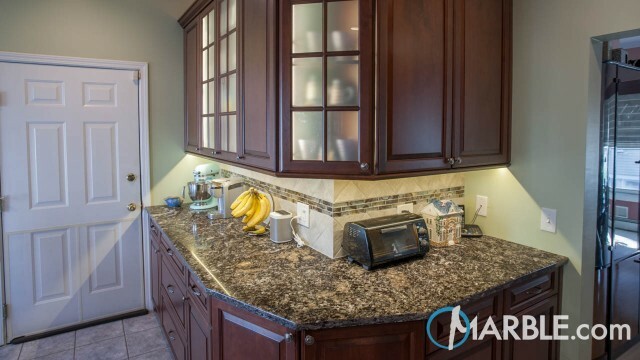 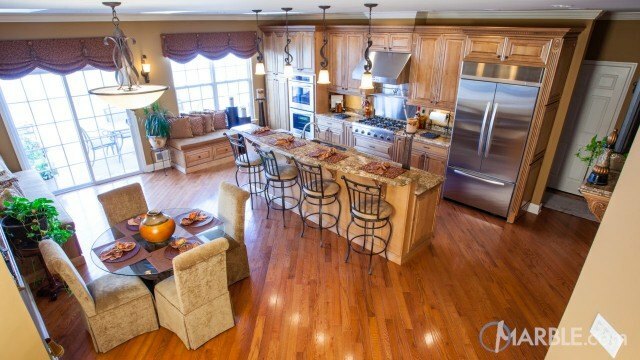 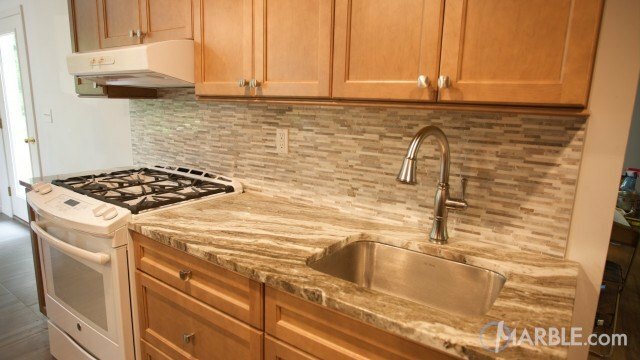 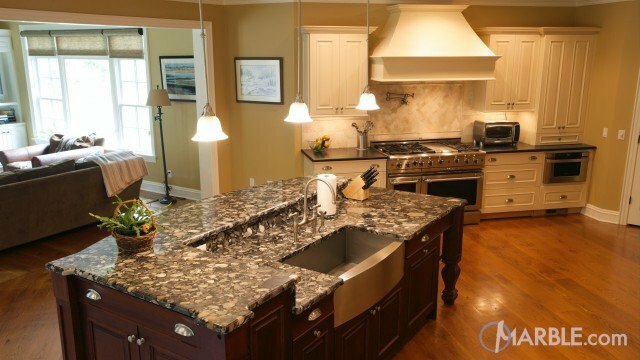 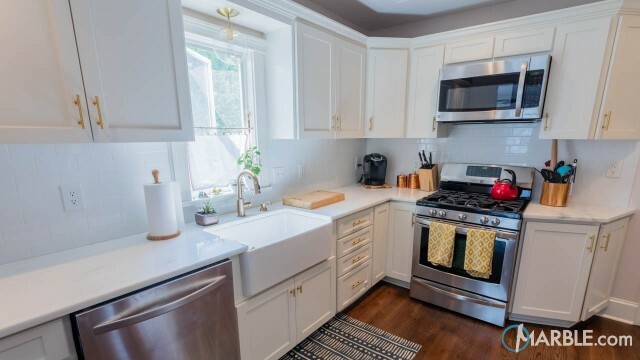 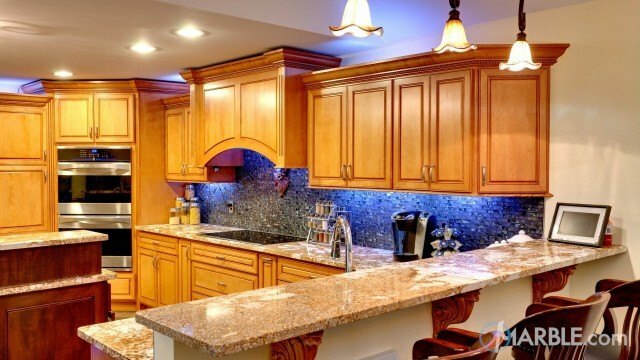 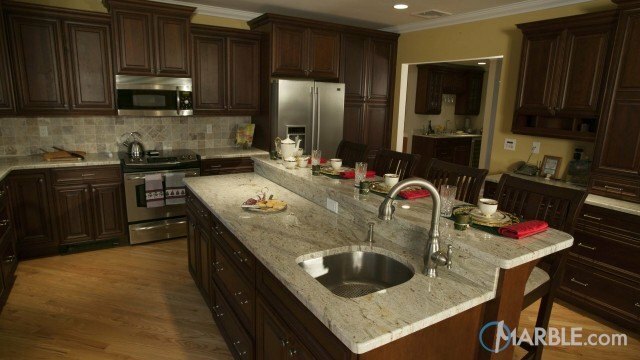 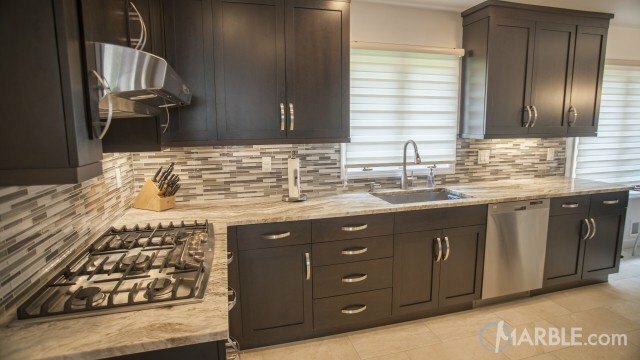 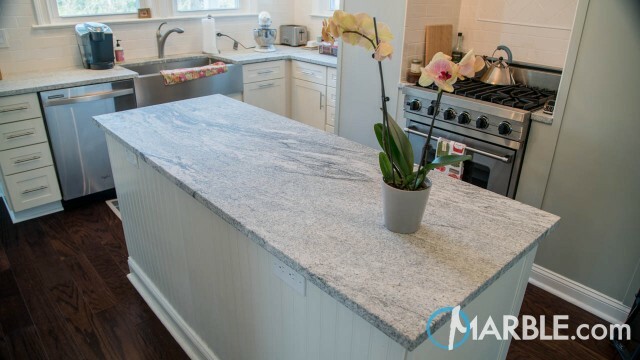 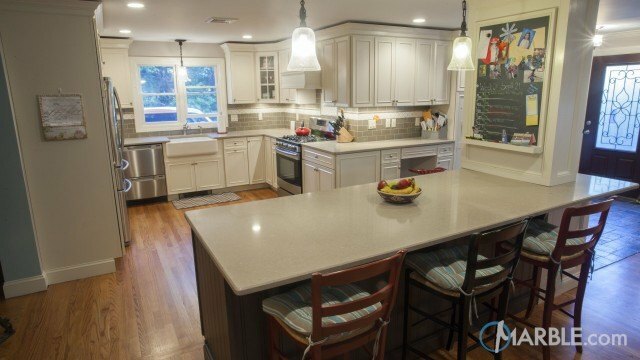 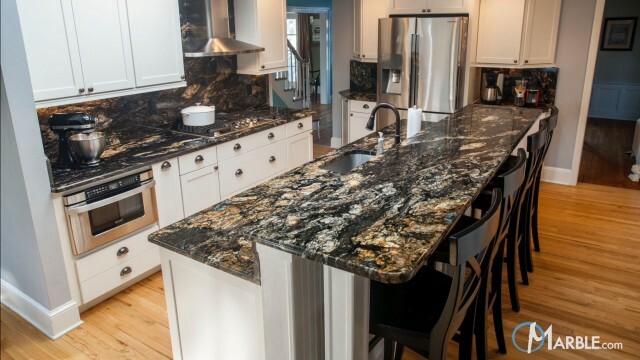 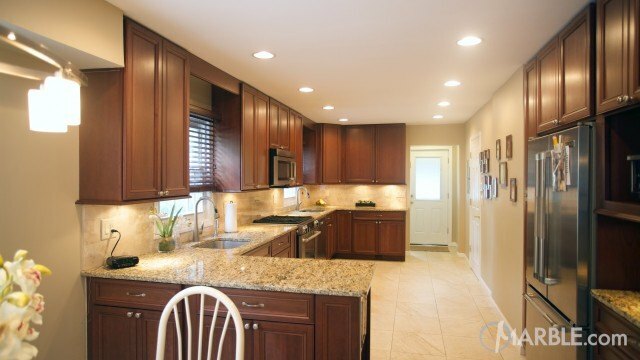 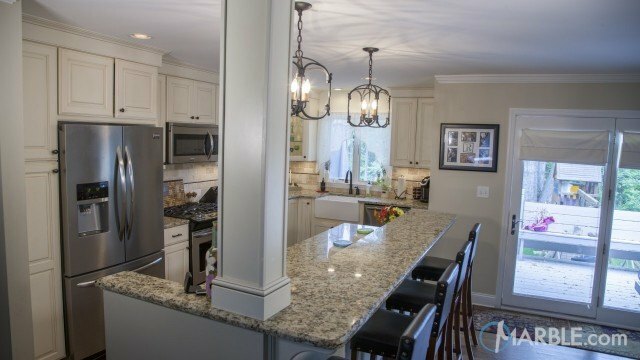 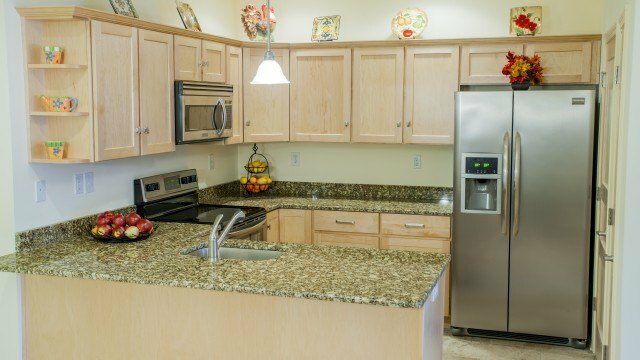 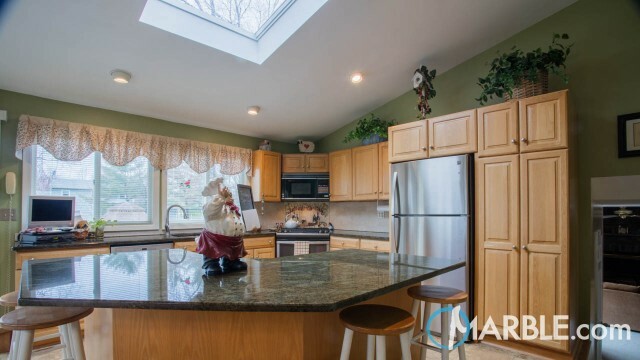 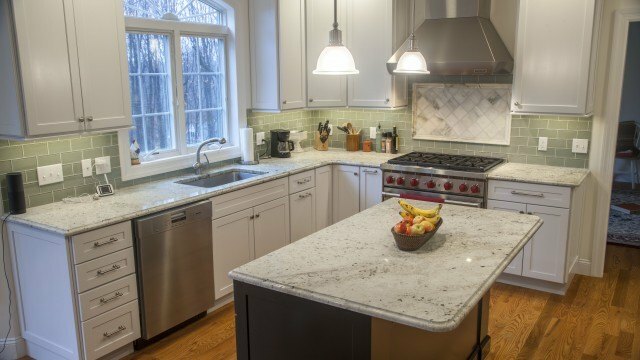 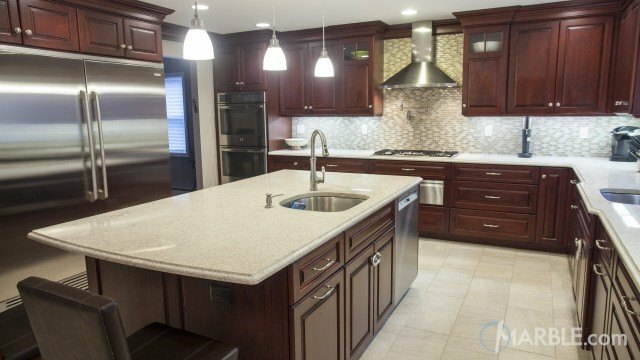 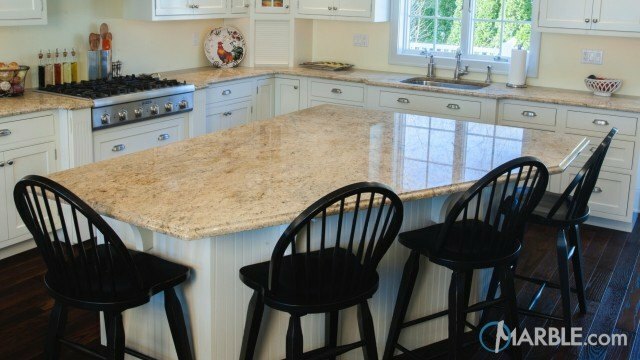 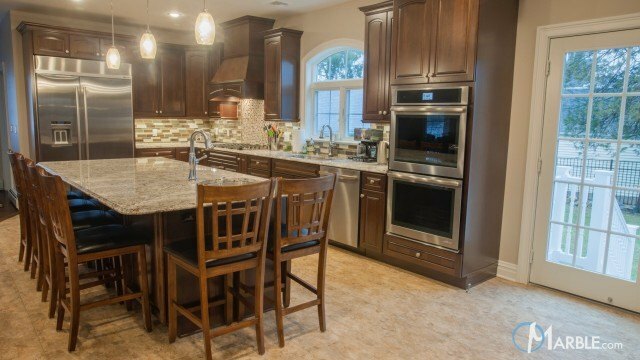 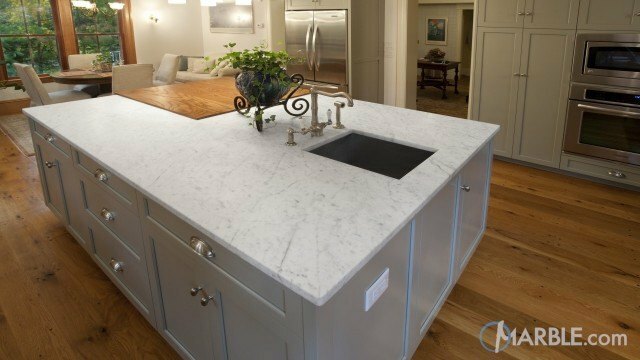 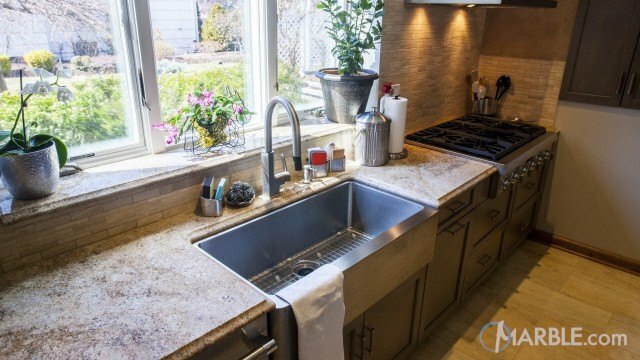 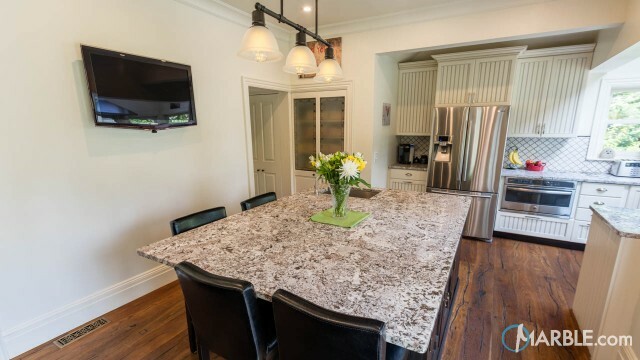 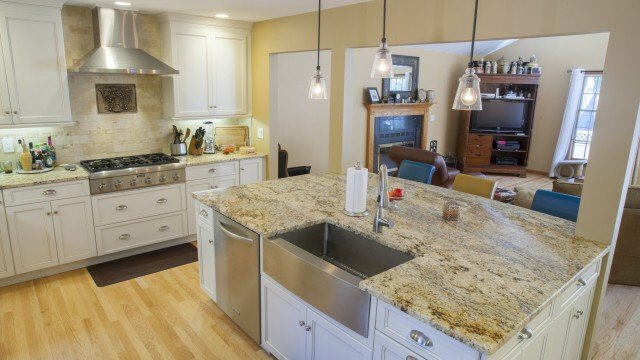 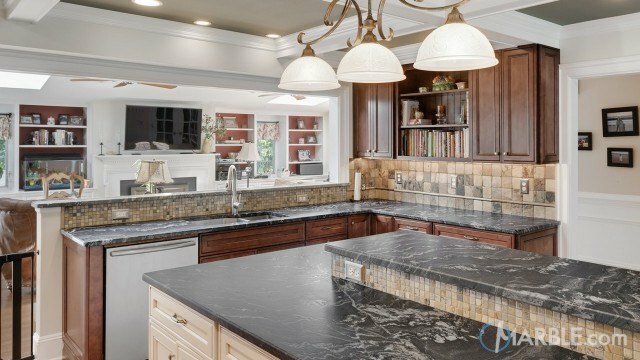 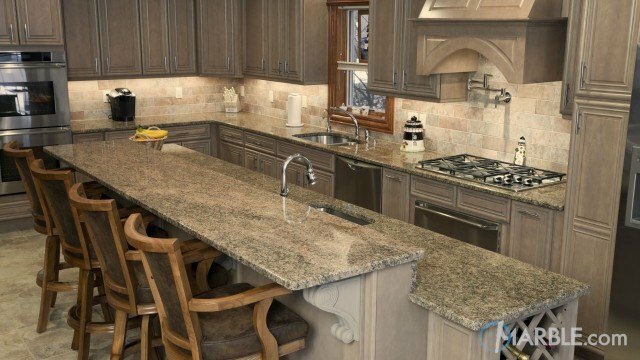 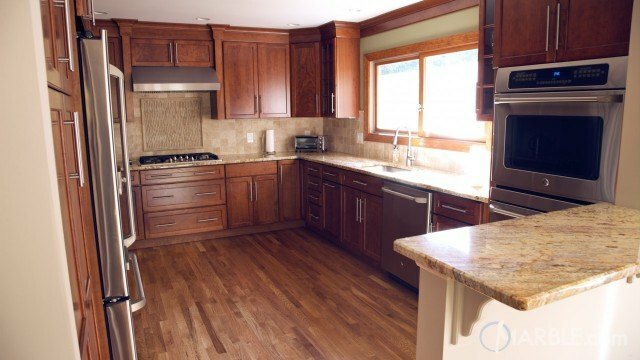 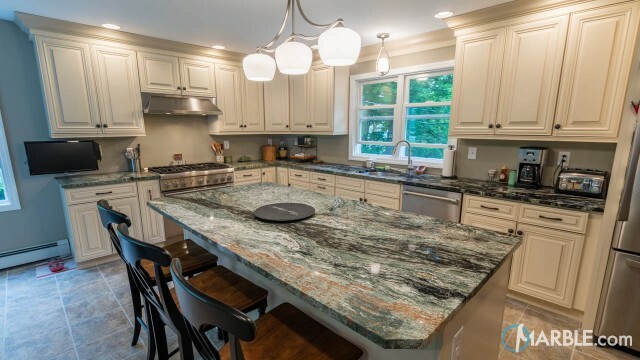 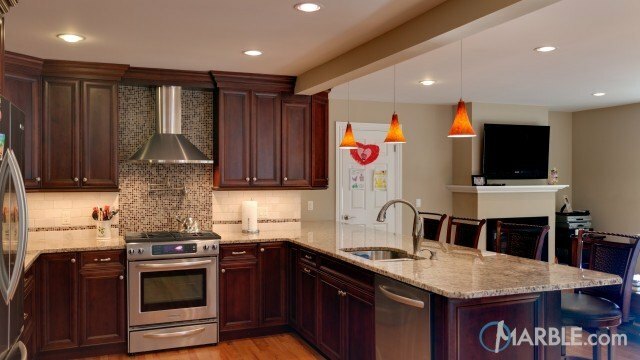 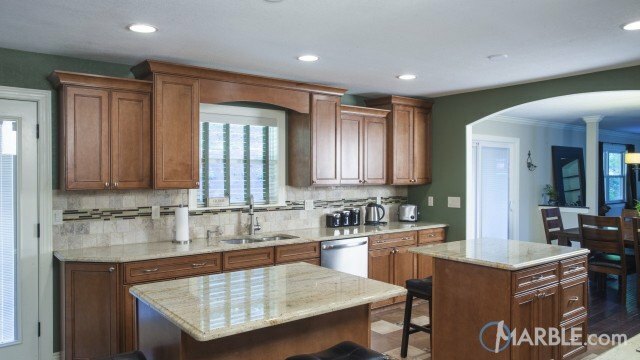 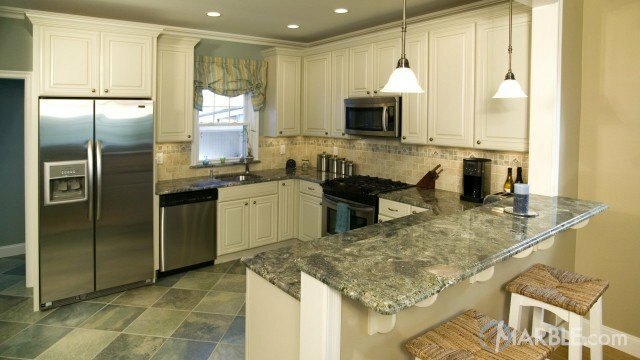 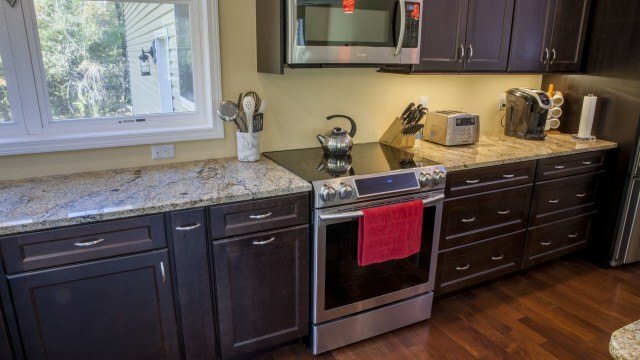 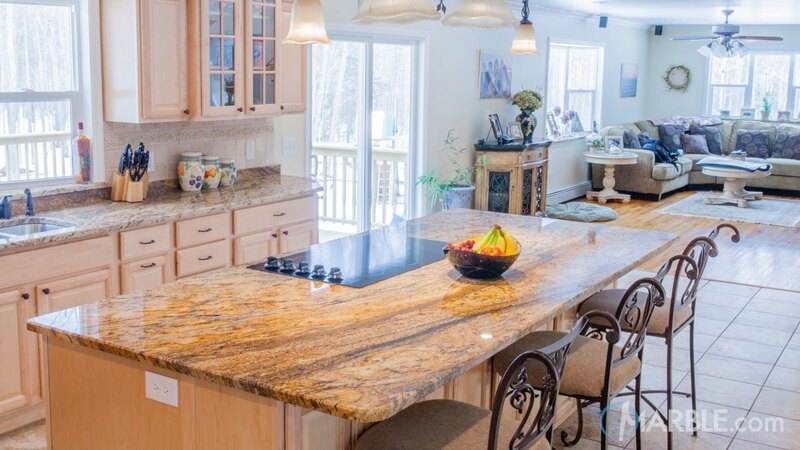 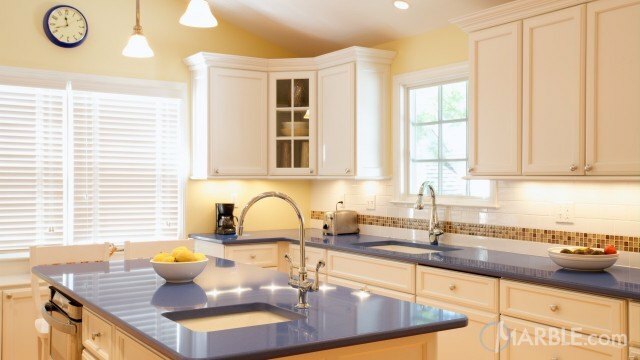 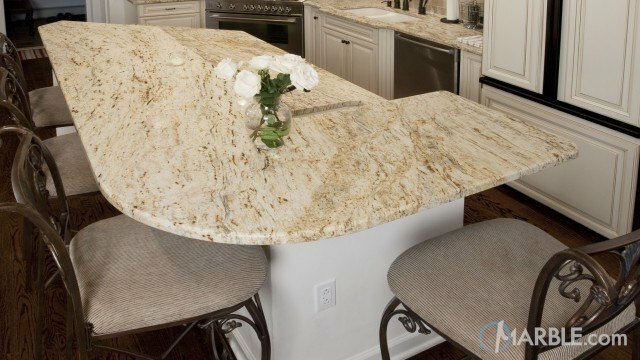 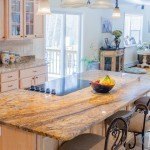 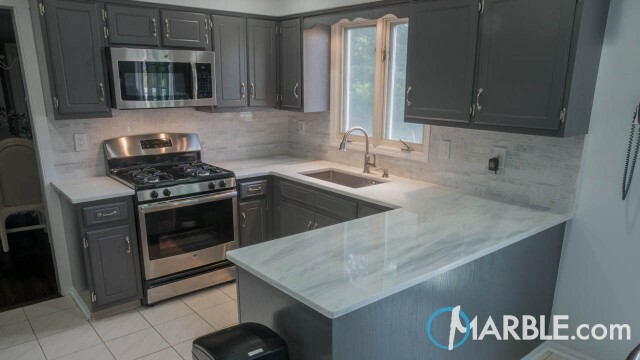 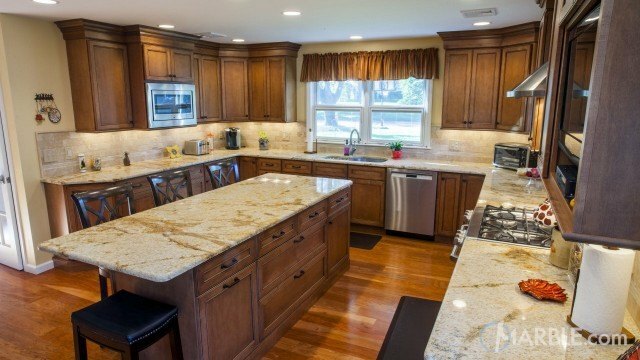 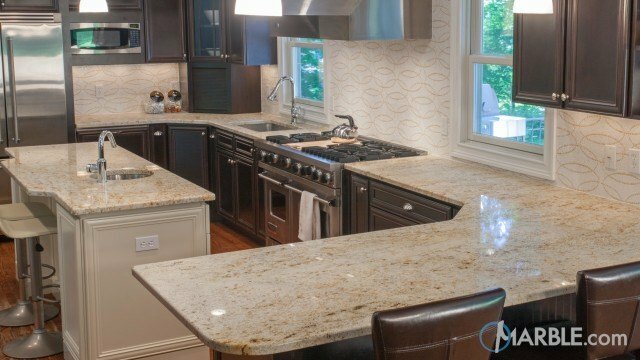 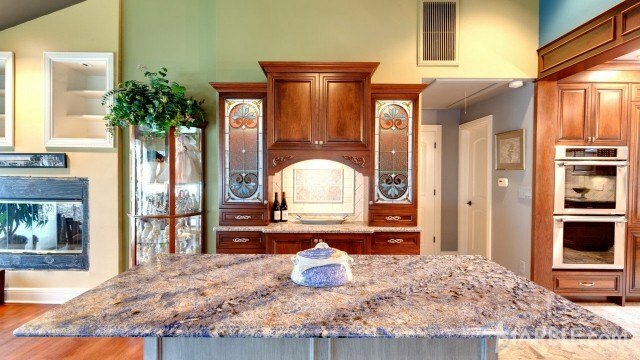 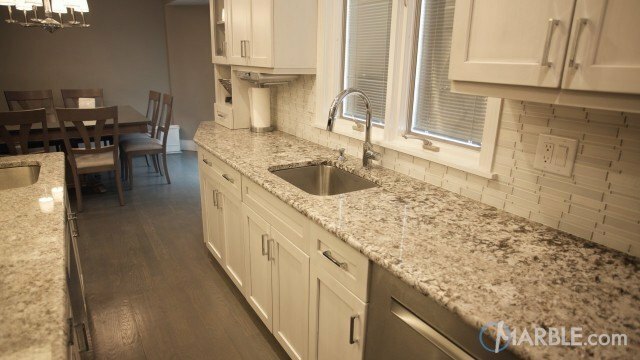 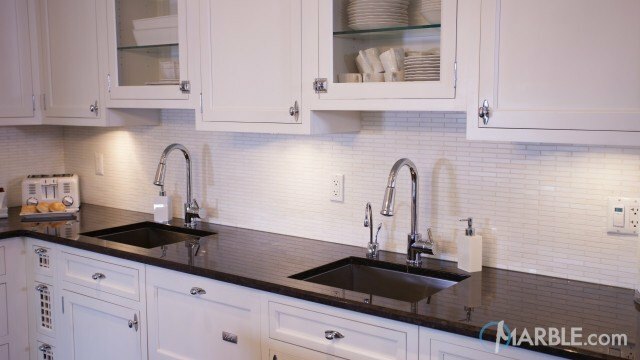 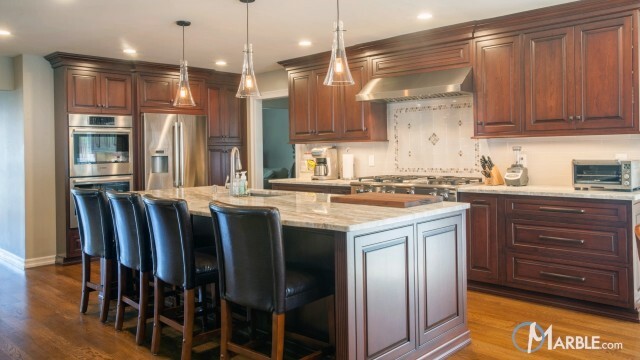 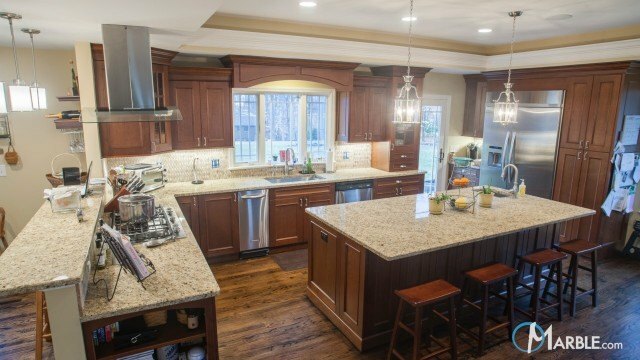 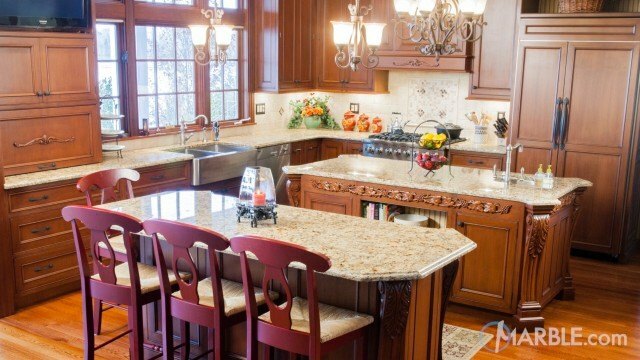 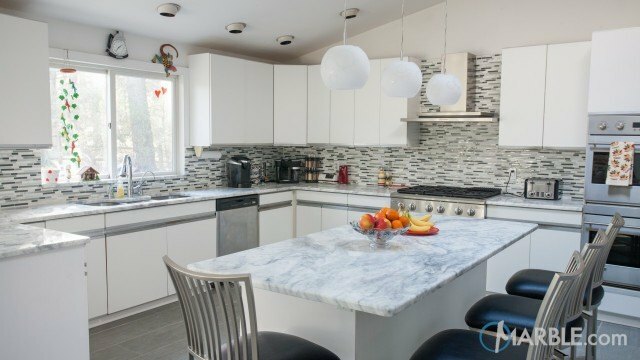 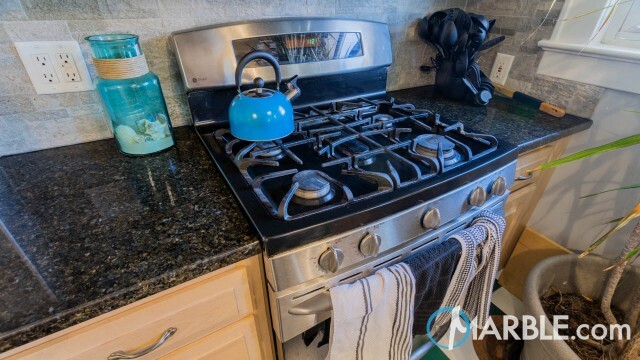 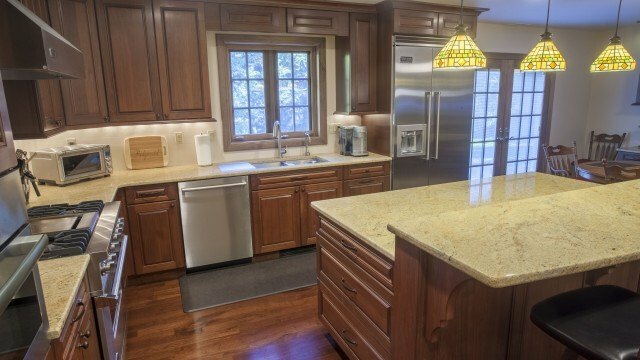 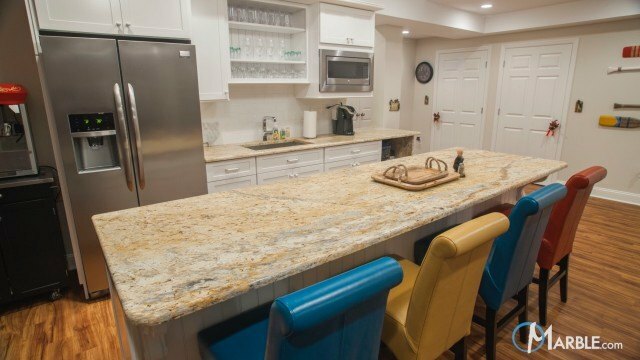 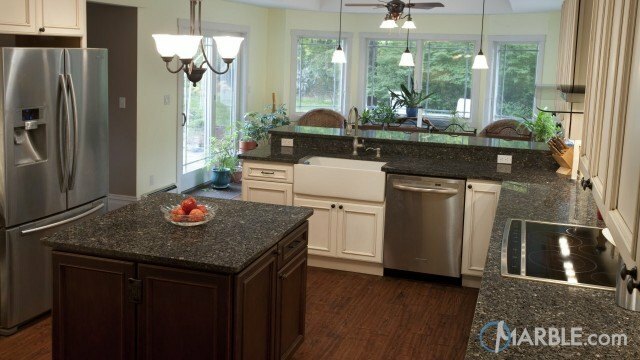 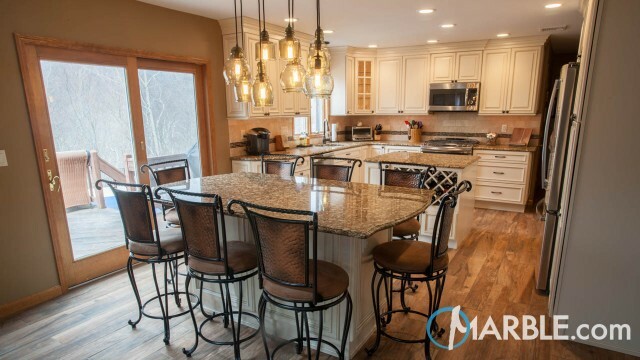 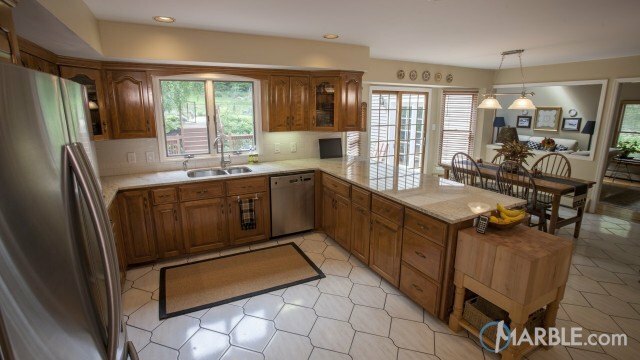 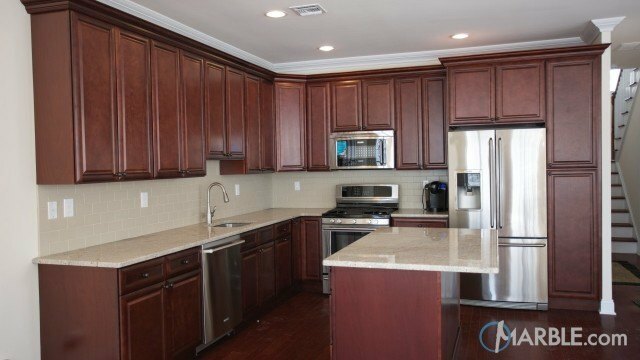 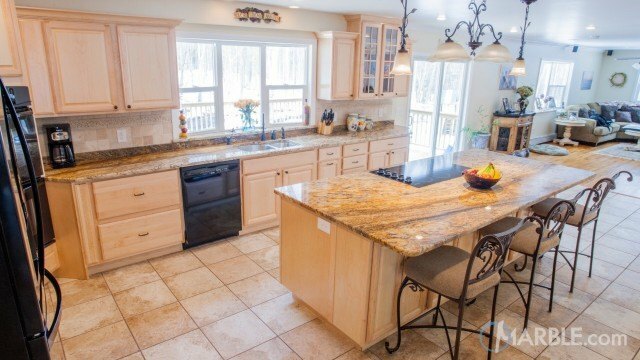 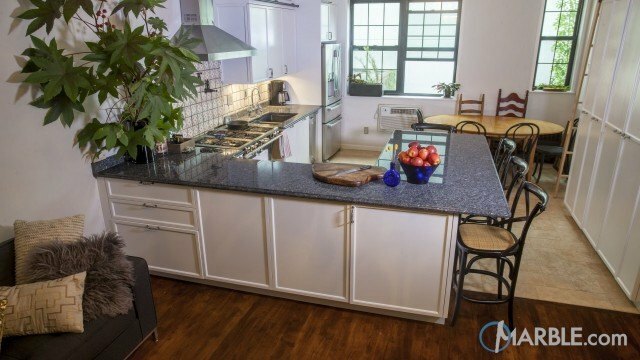 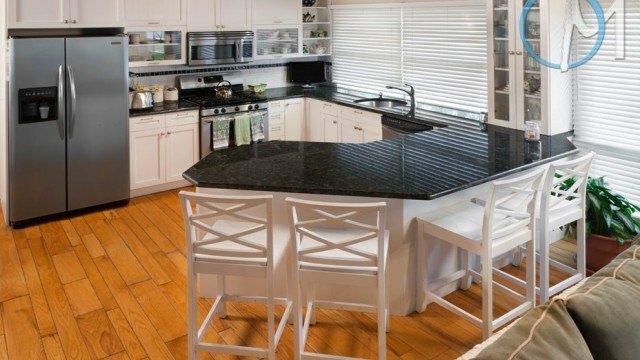 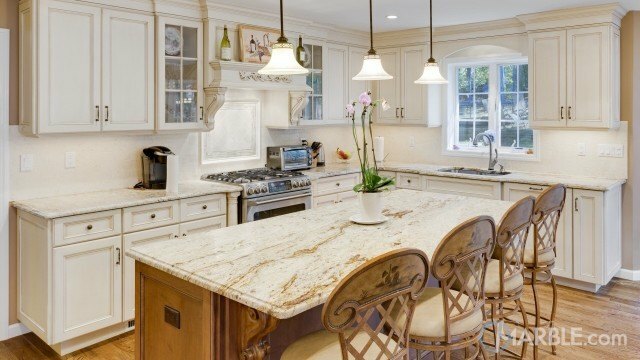 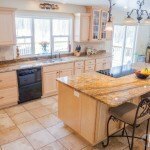 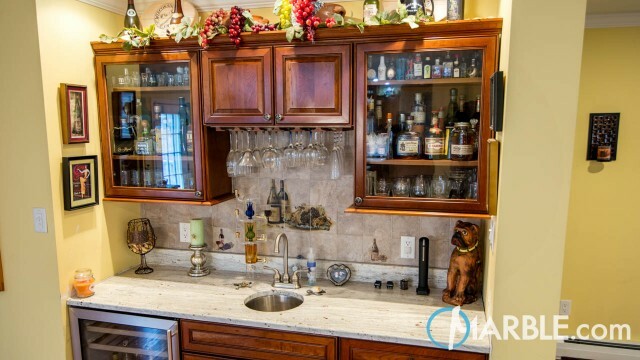 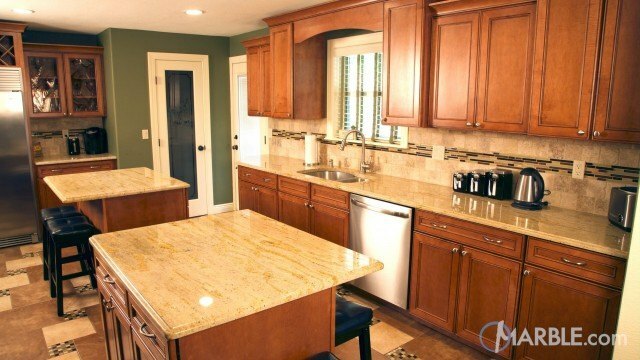 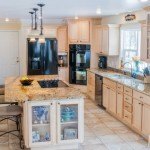 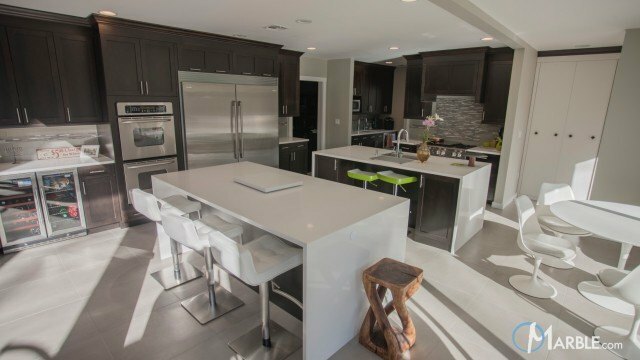 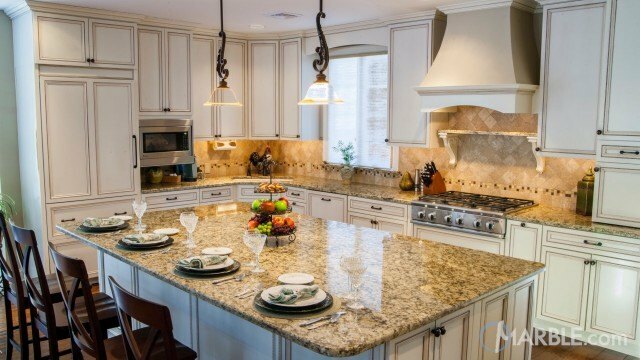 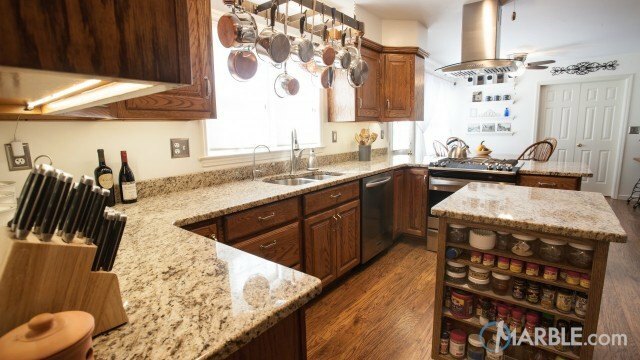 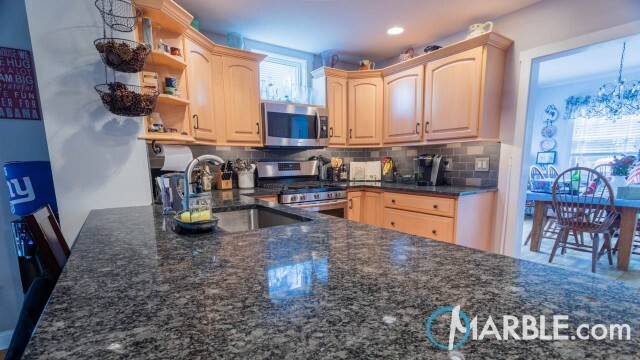 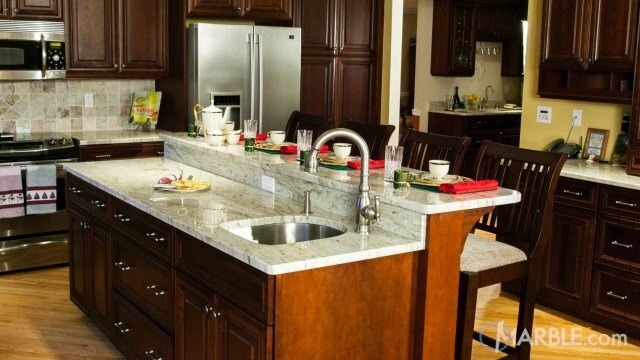 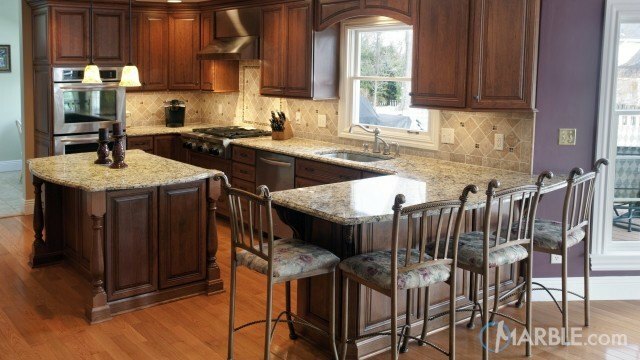 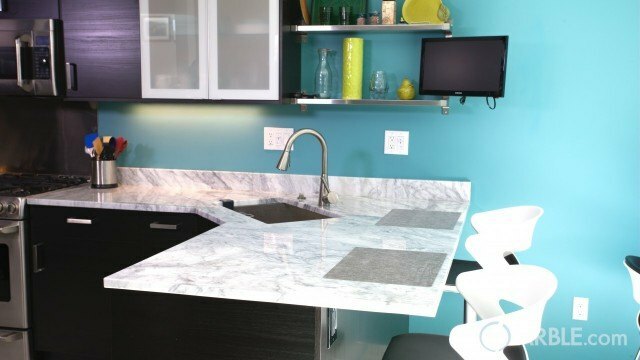 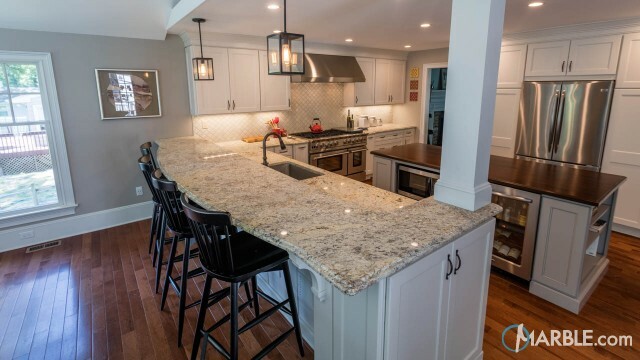 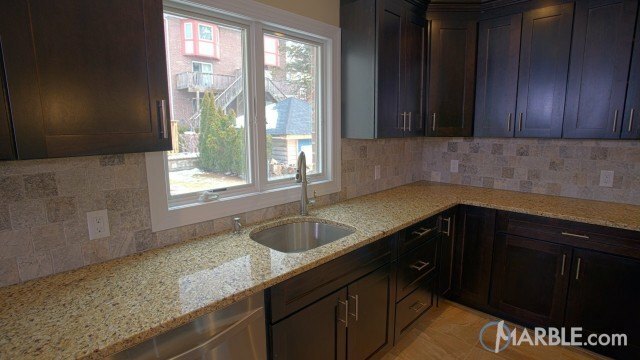 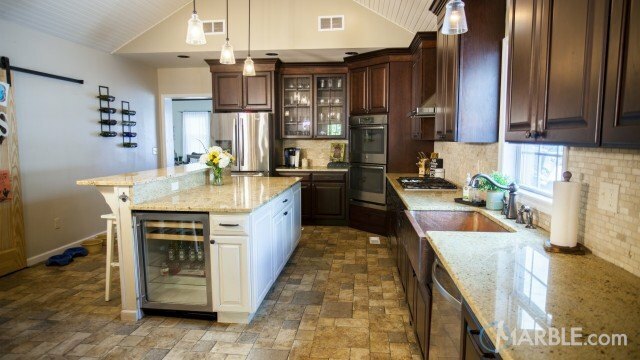 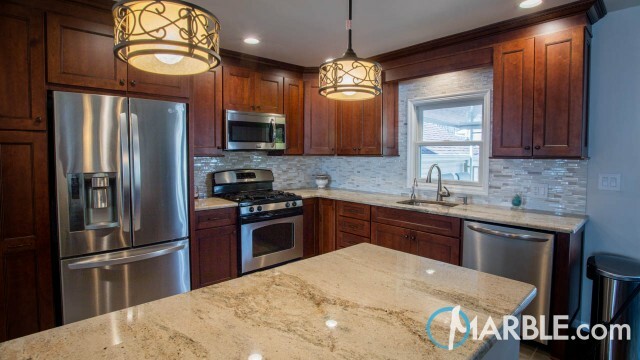 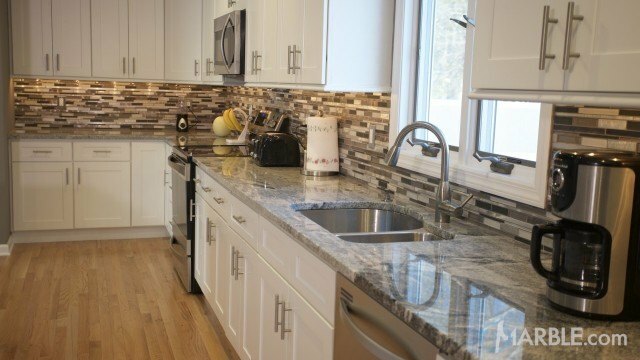 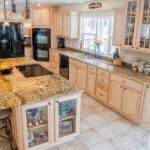 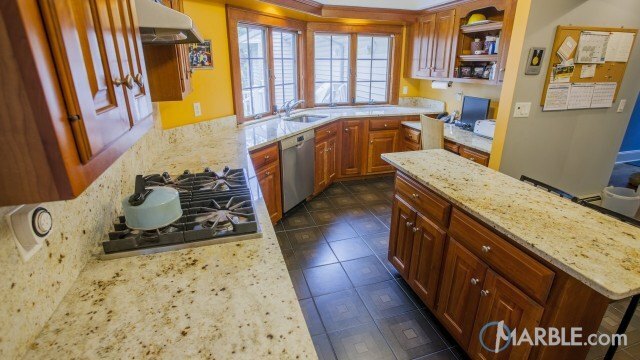 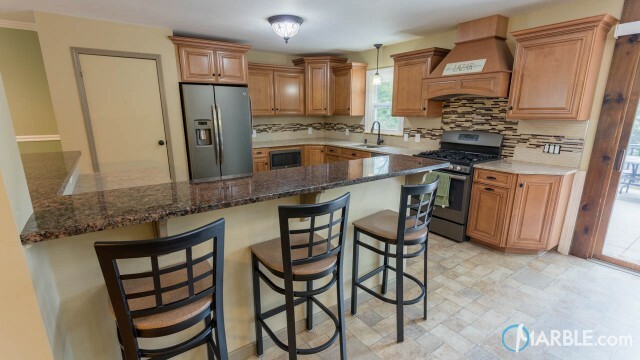 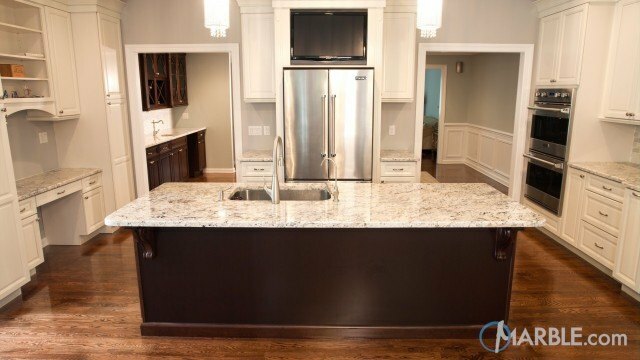 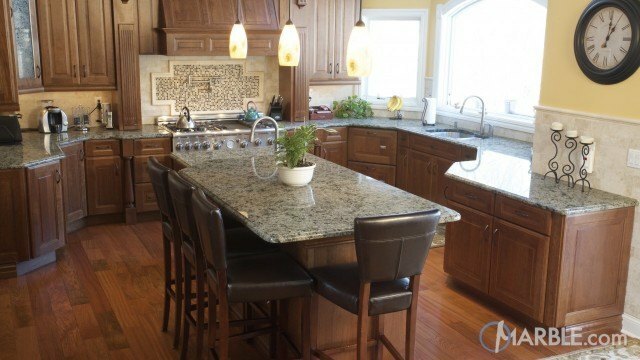 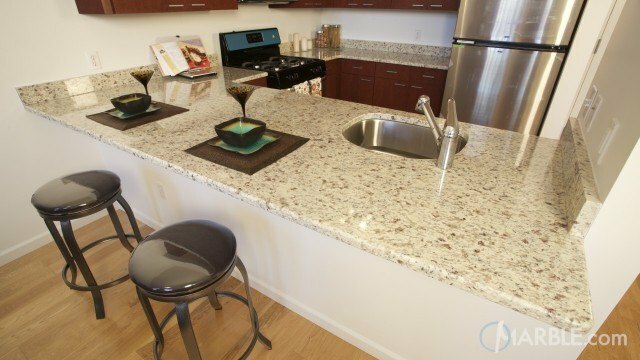 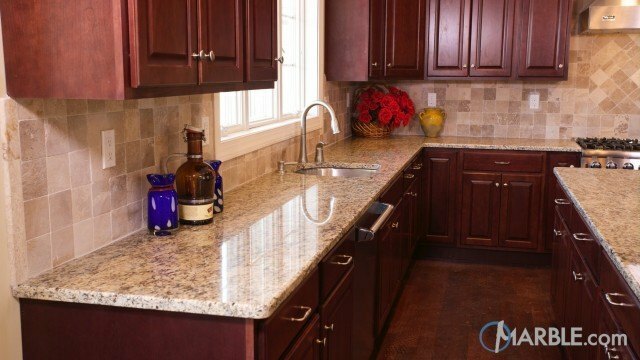 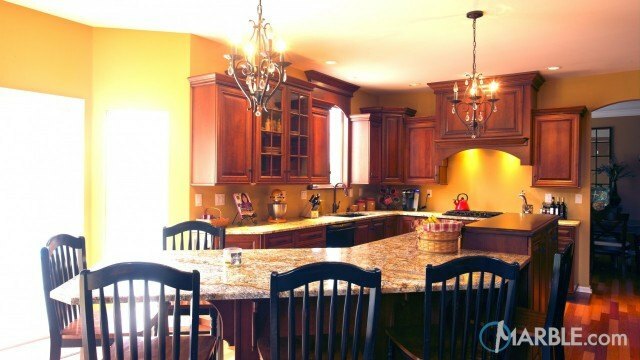 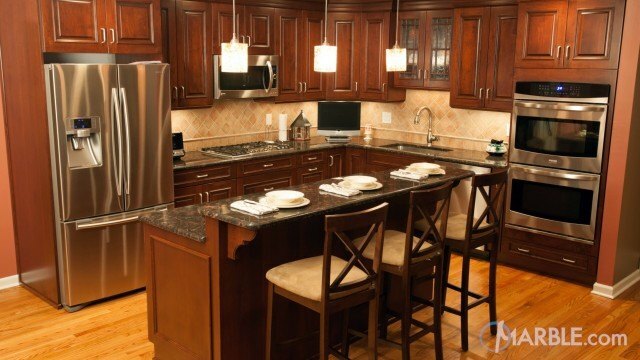 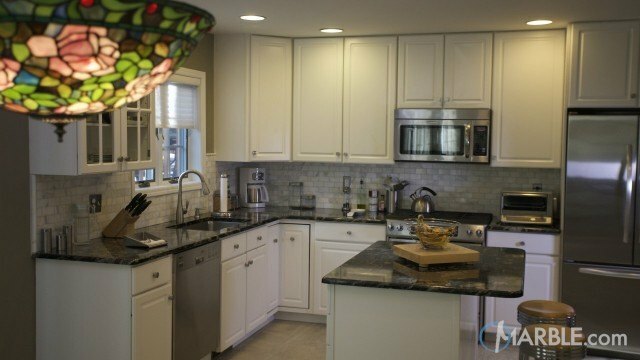 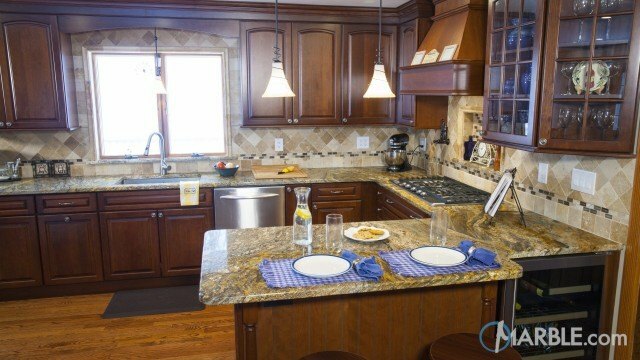 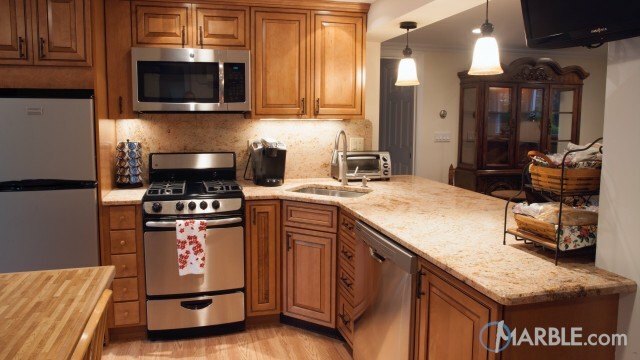 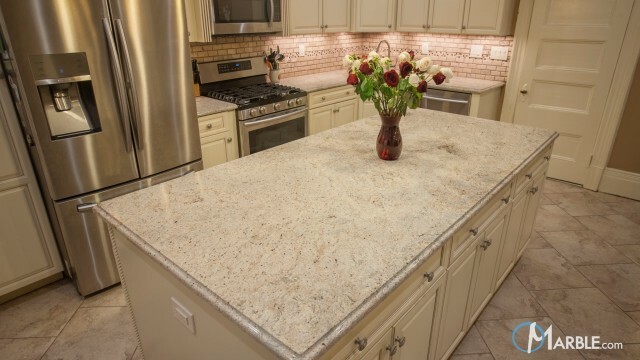 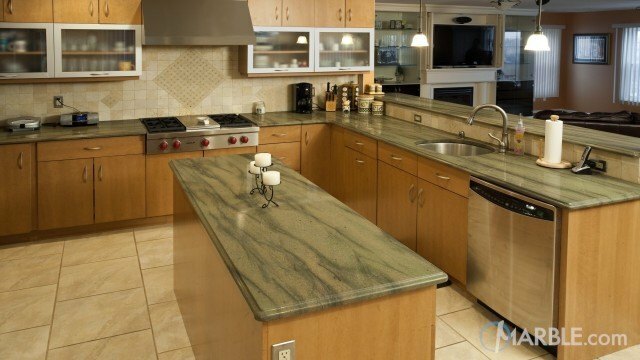 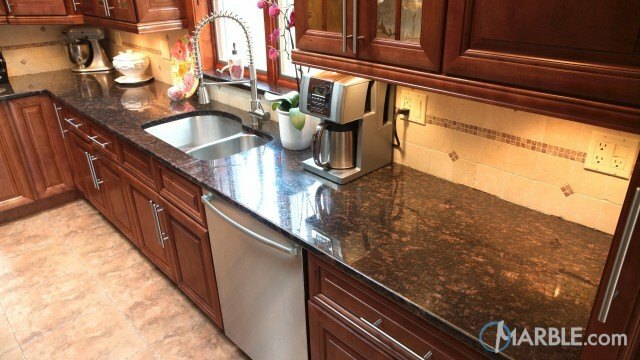 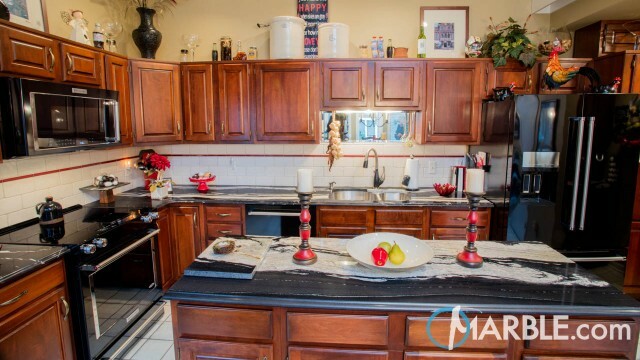 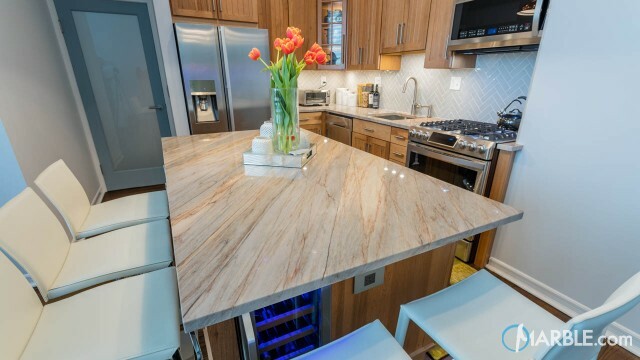 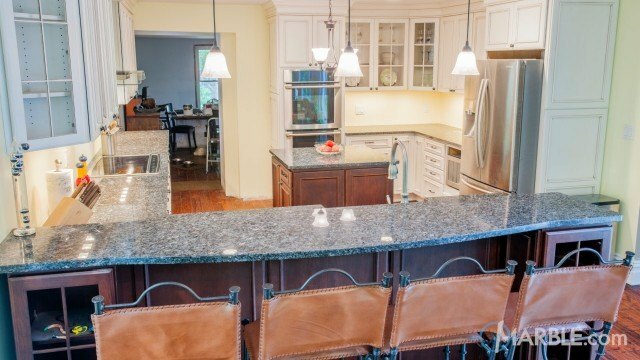 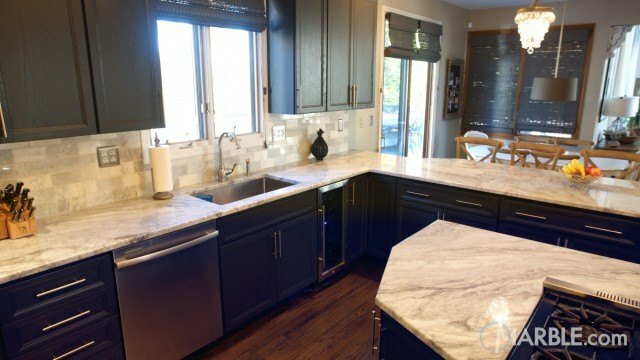 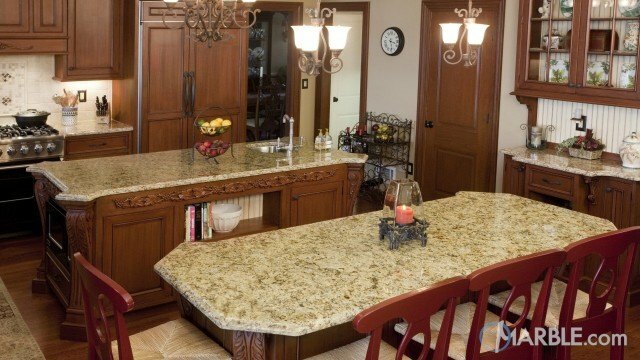 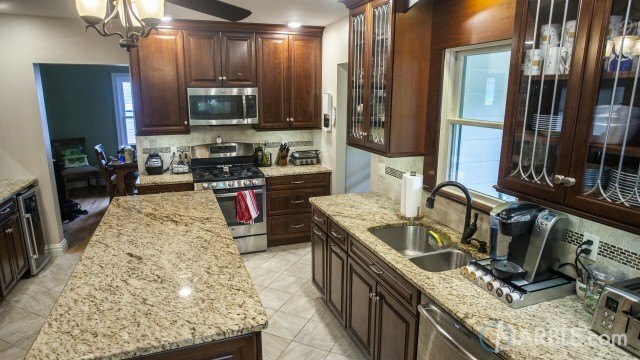 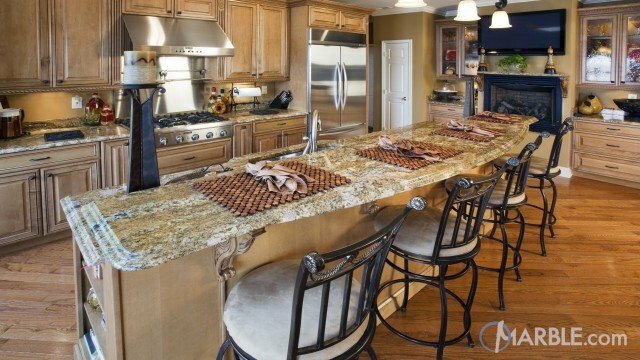 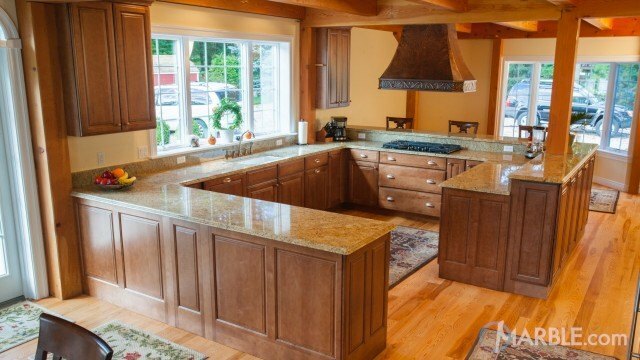 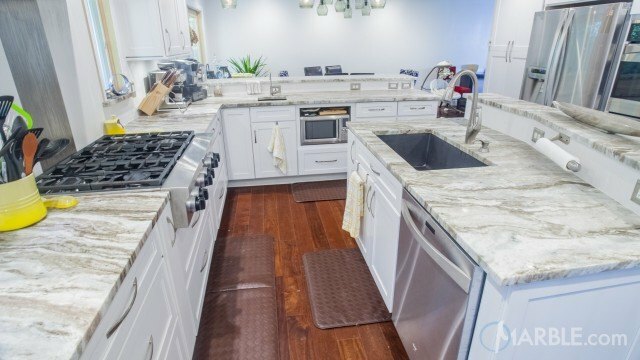 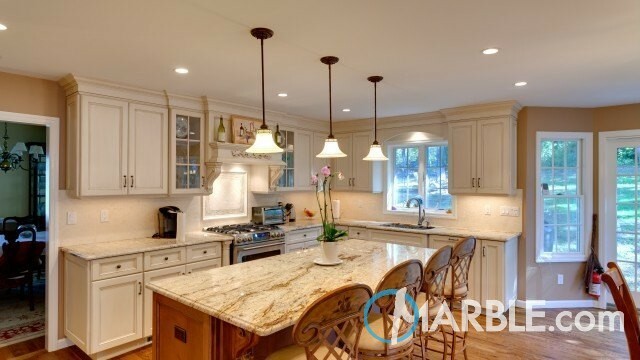 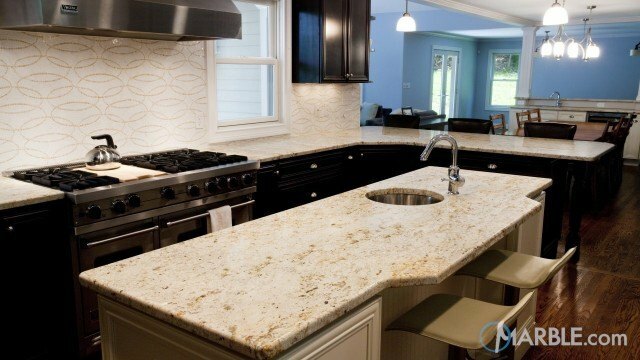 This kitchen features a natural granite counter top. 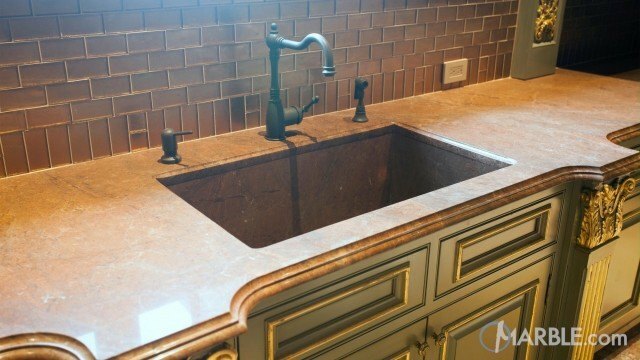 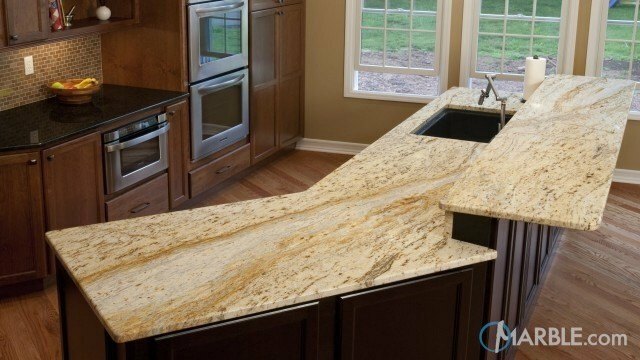 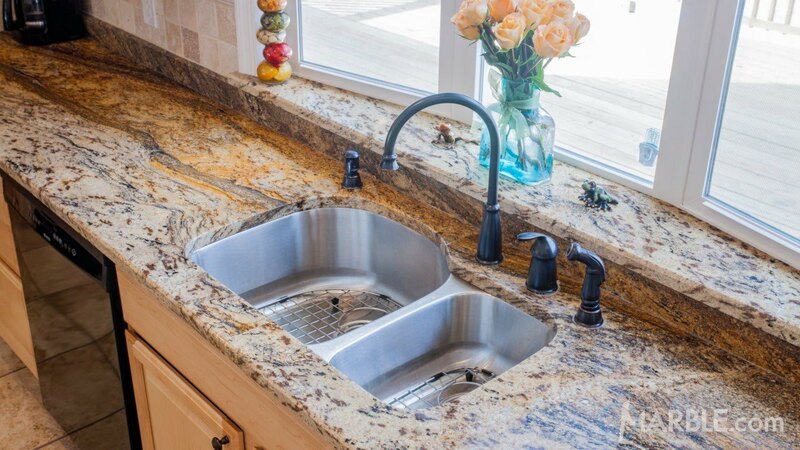 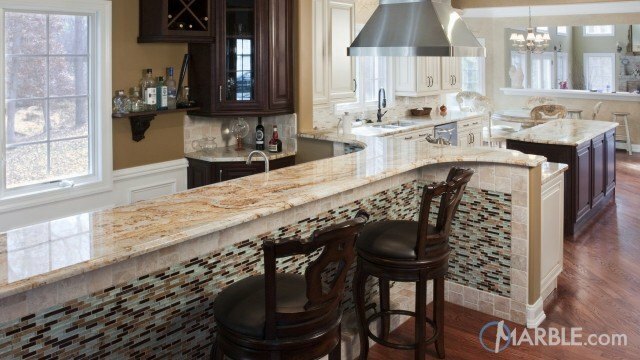 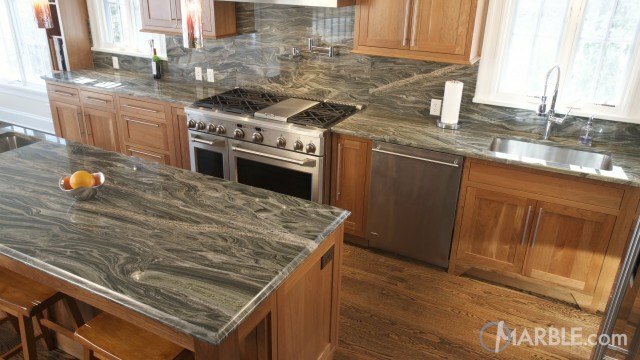 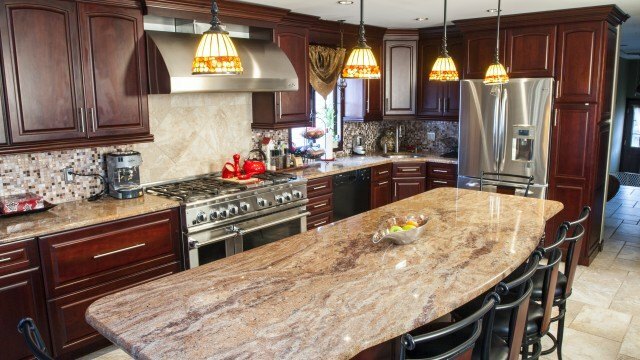 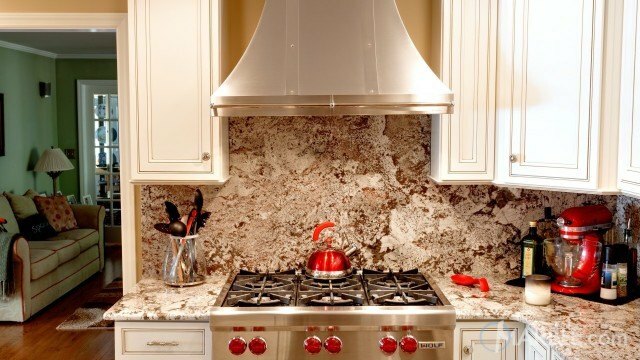 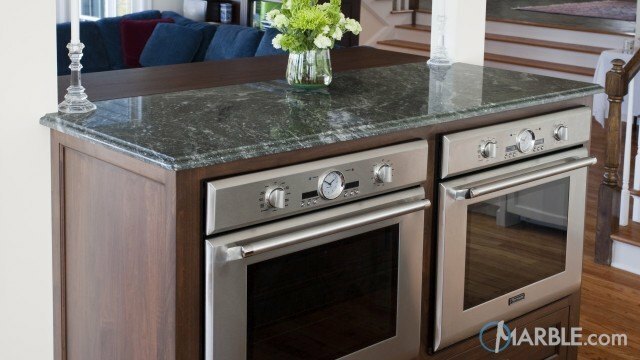 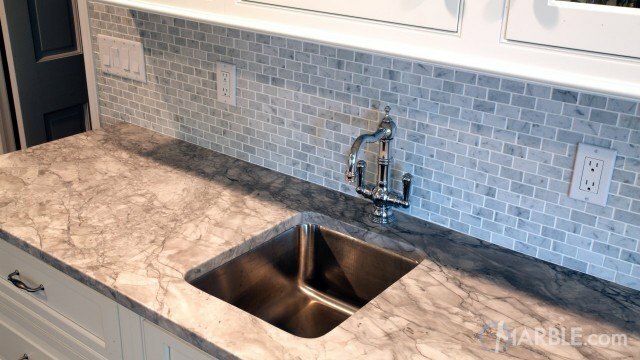 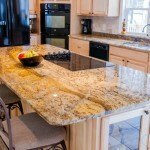 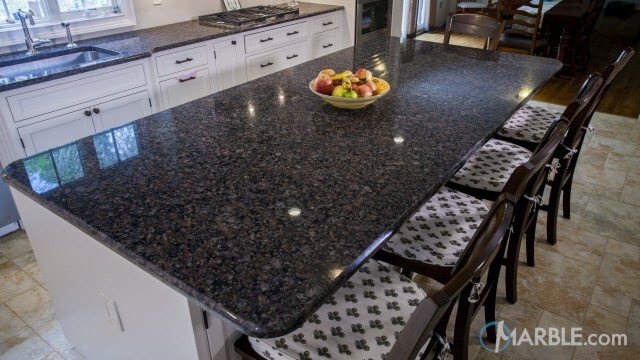 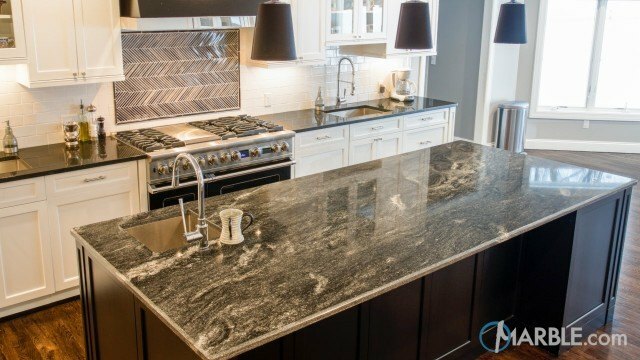 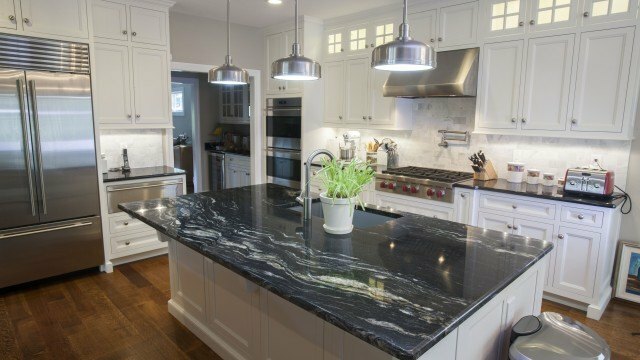 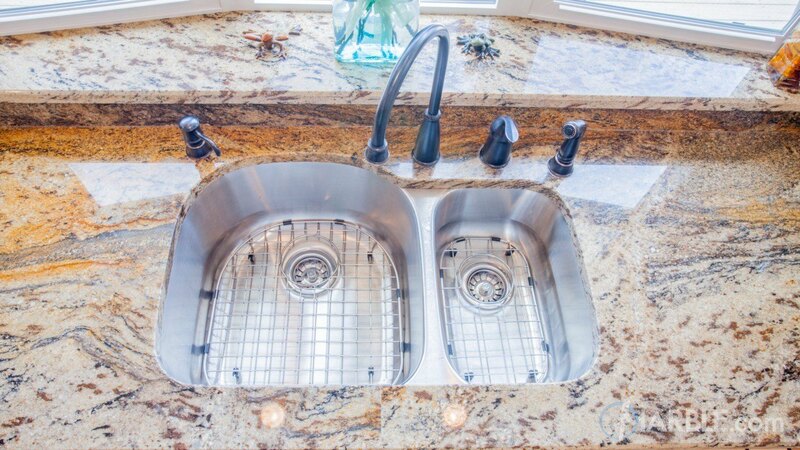 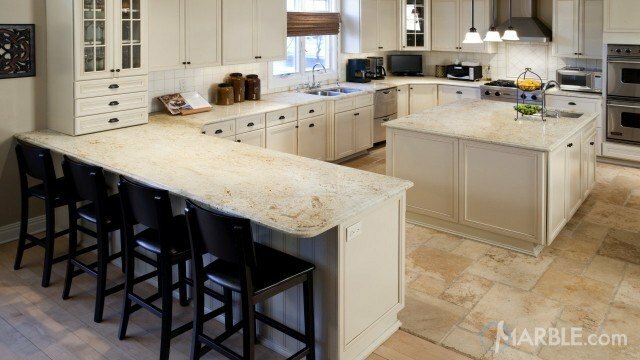 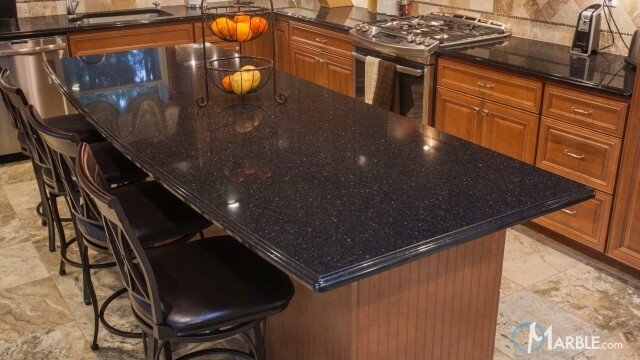 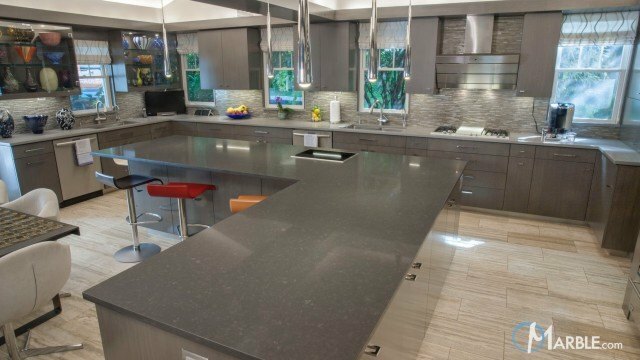 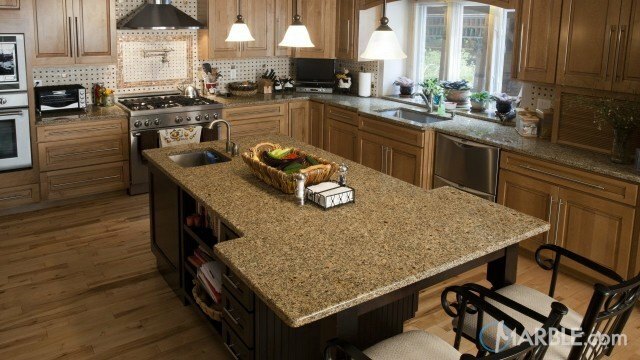 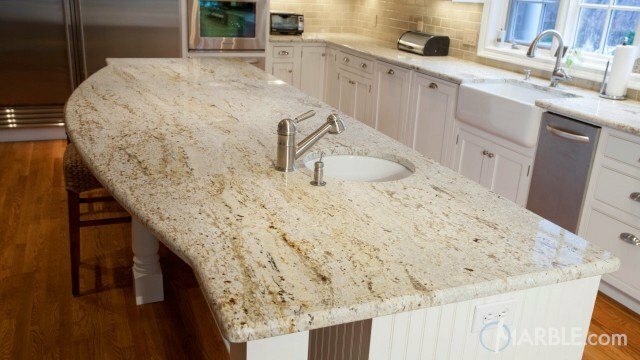 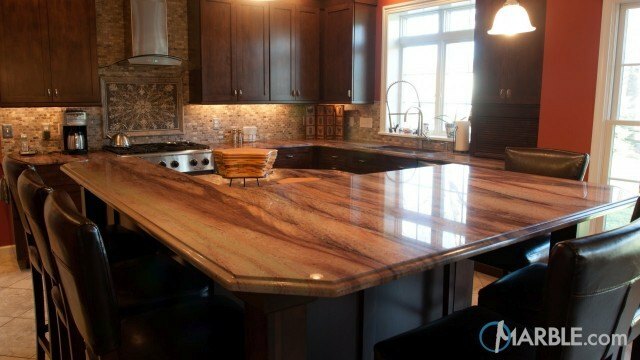 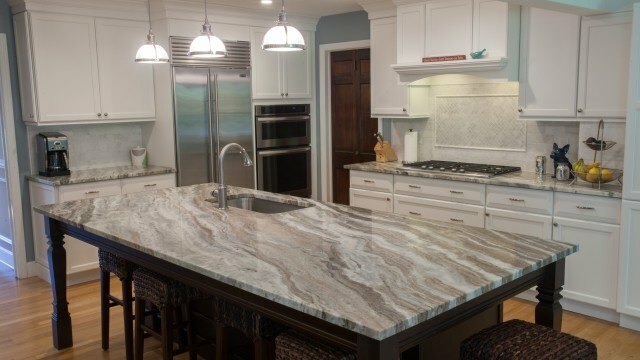 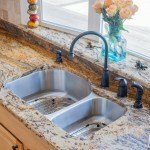 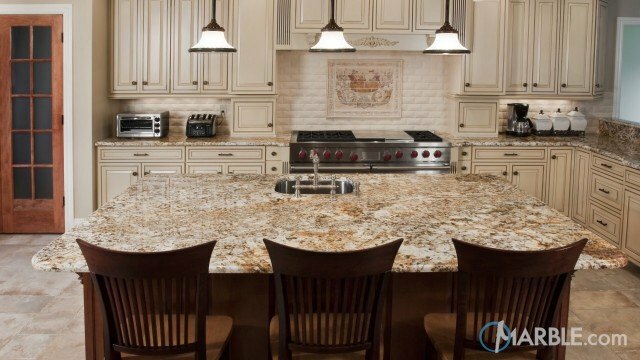 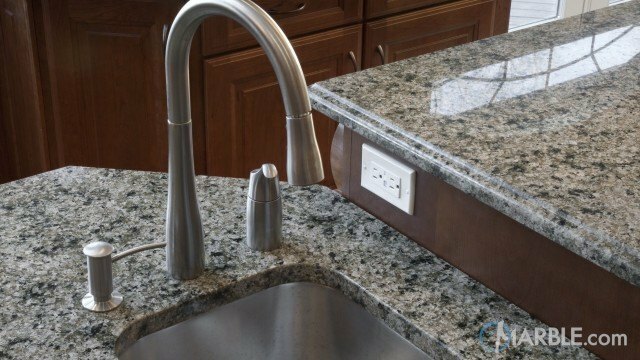 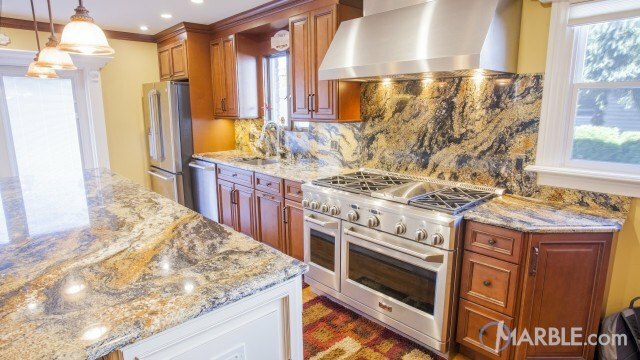 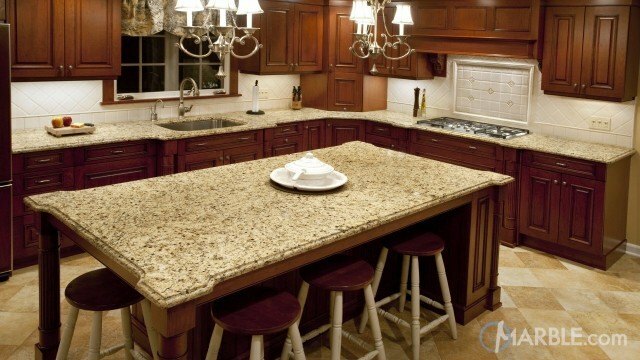 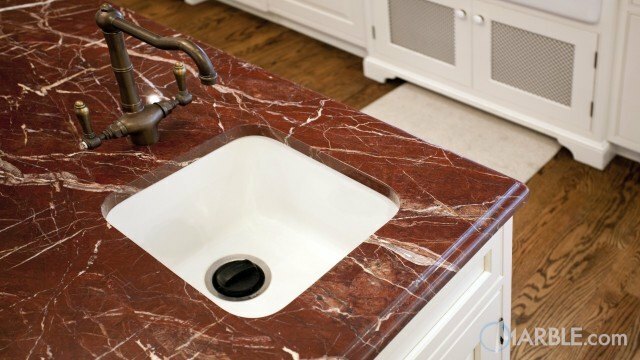 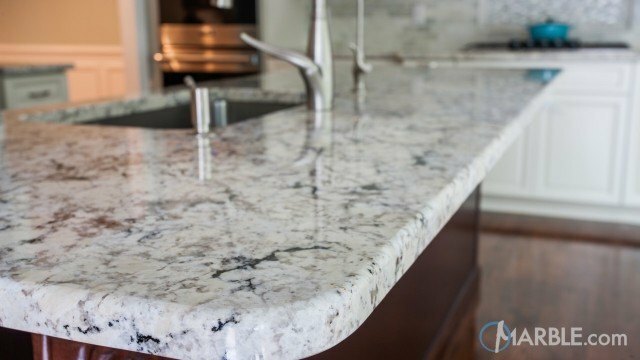 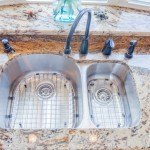 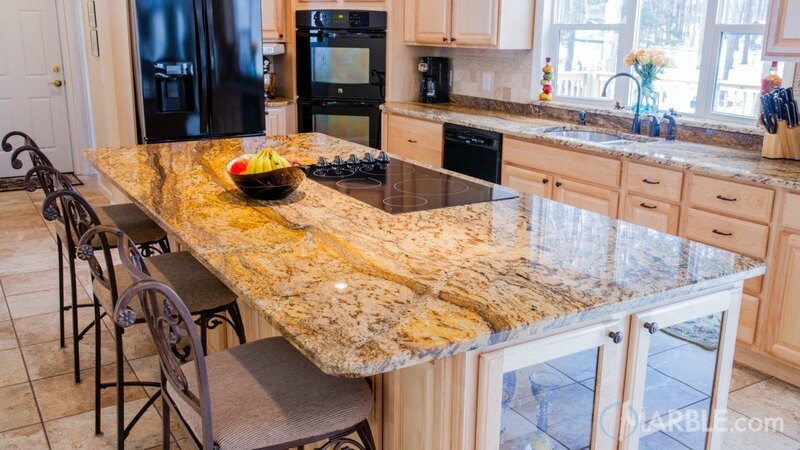 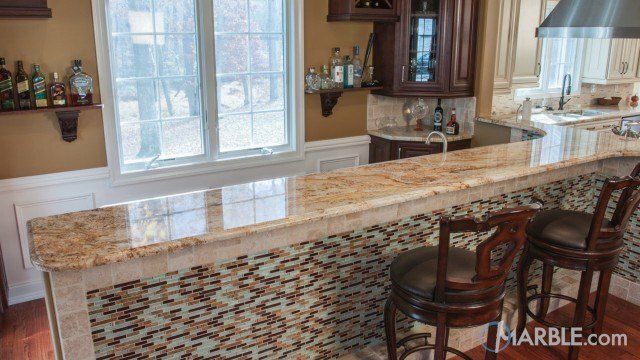 Since granite is made from volcanic activity from the earth each piece of granite is one of a kind. 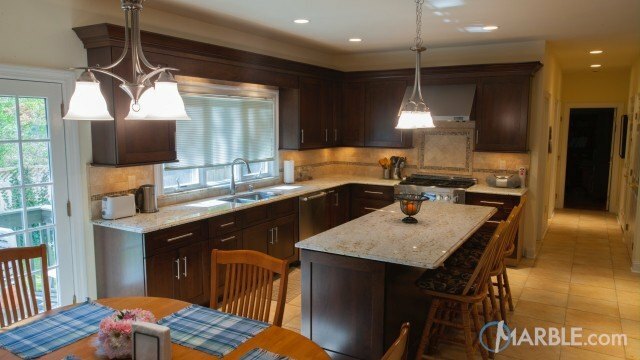 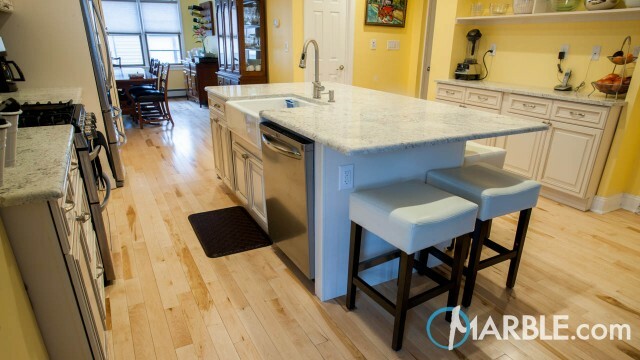 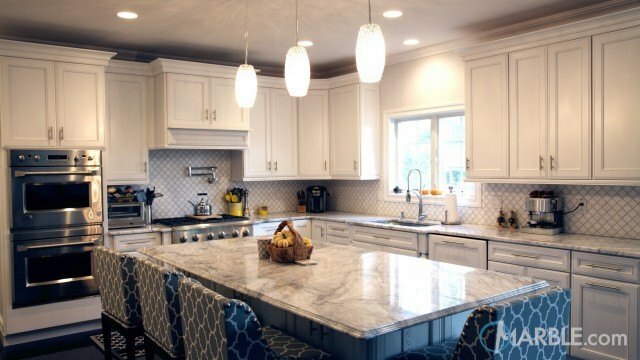 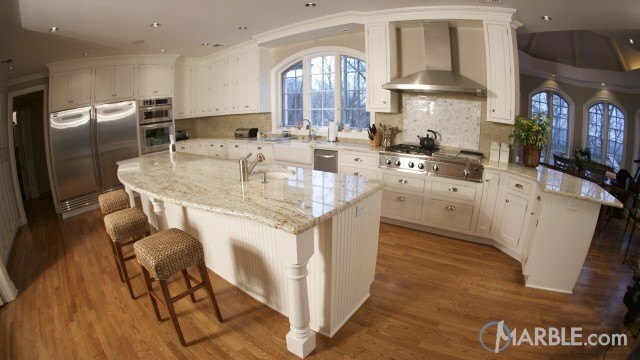 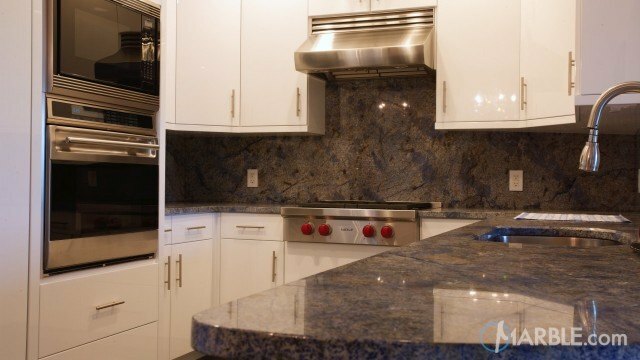 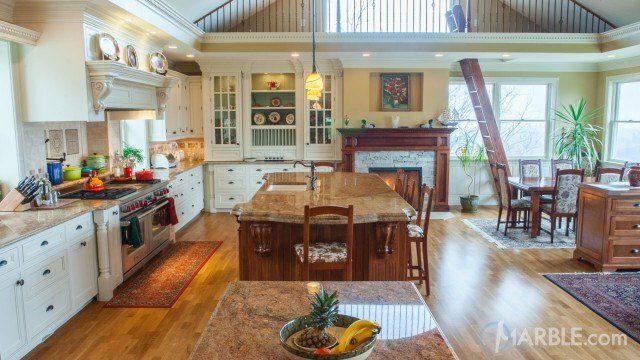 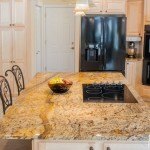 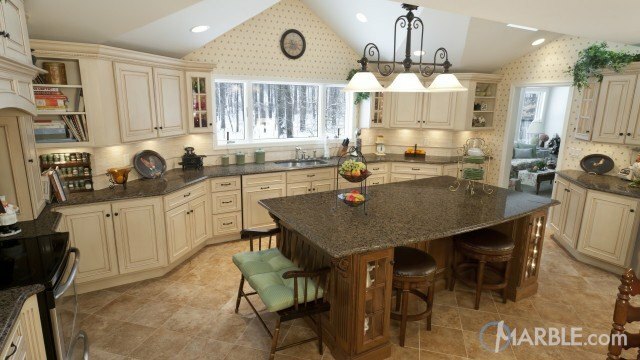 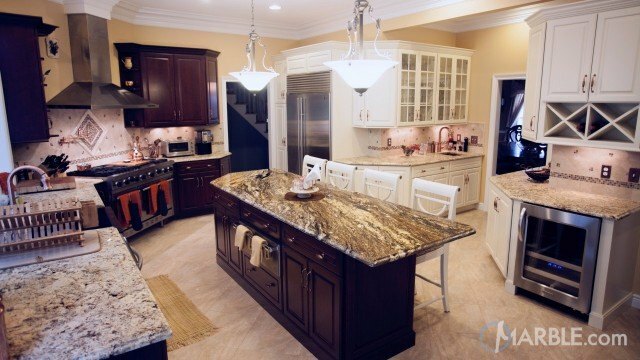 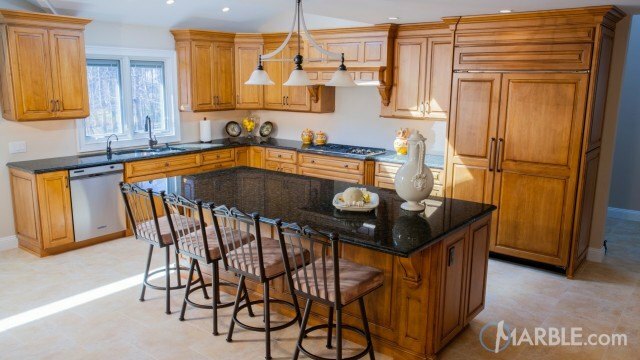 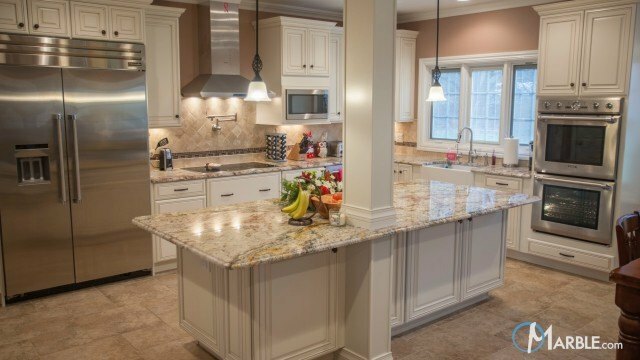 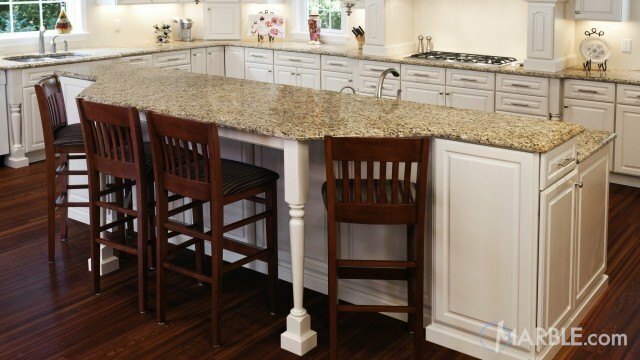 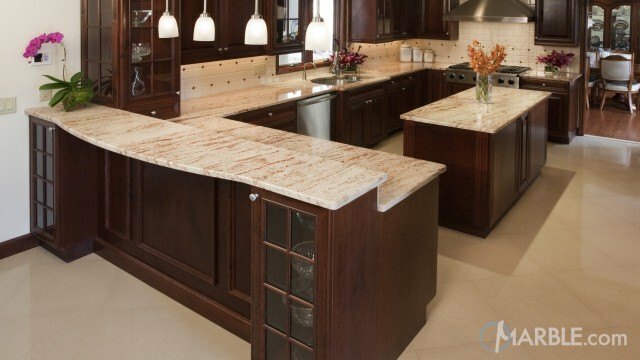 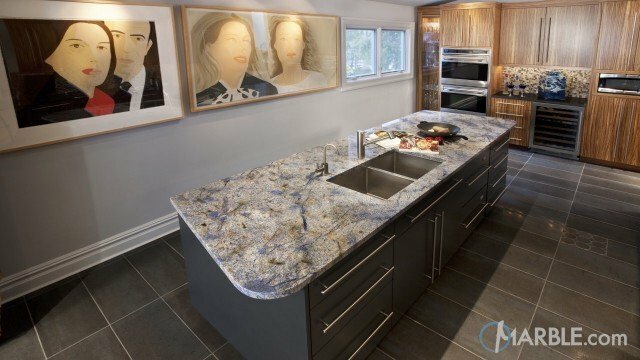 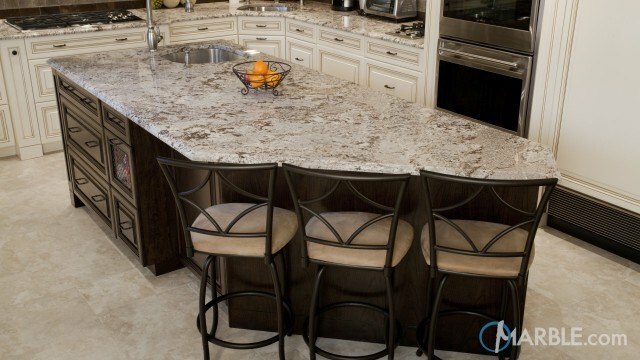 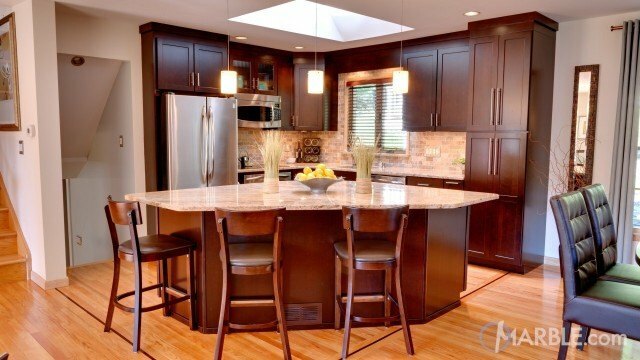 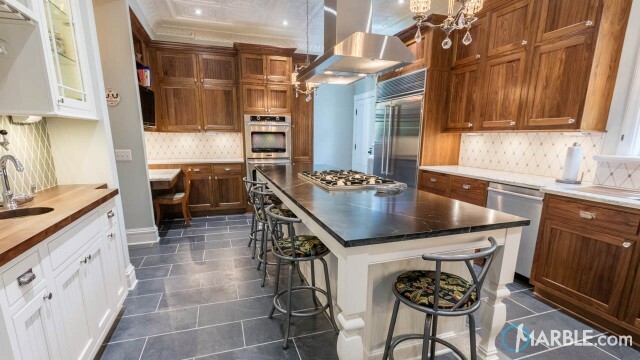 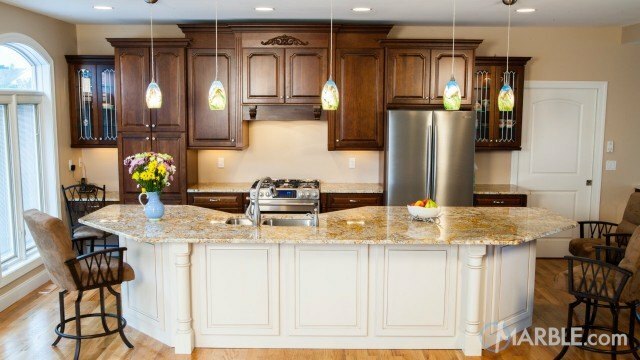 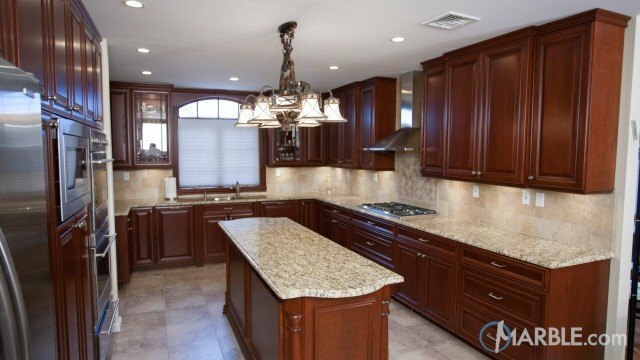 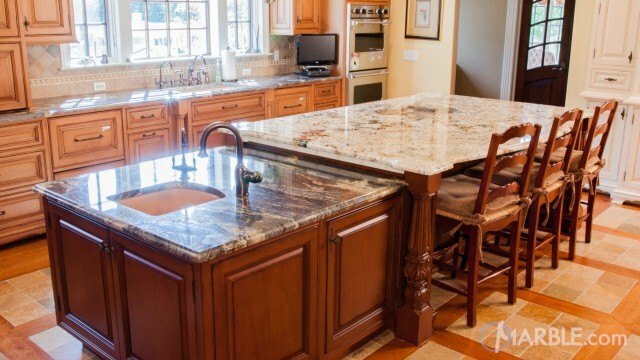 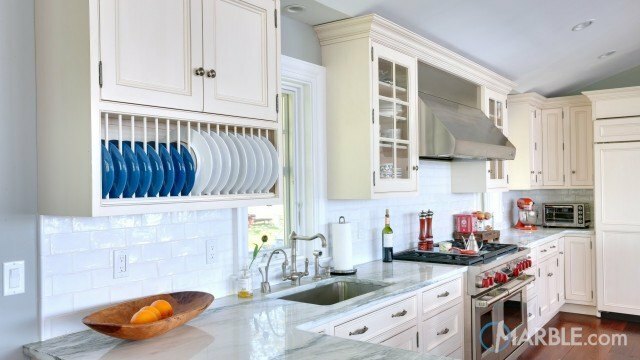 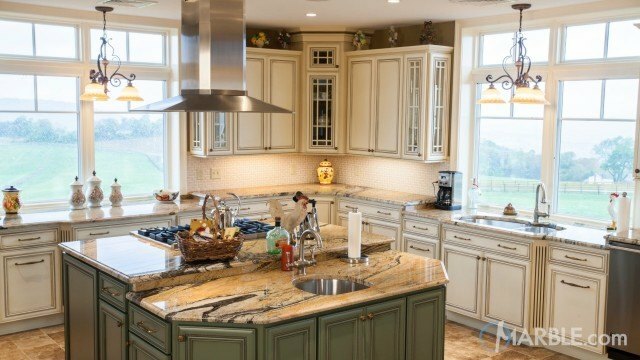 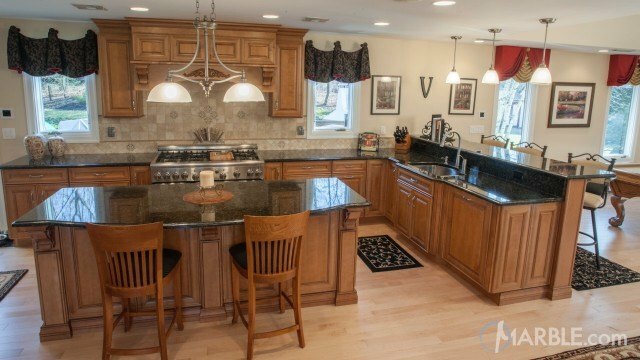 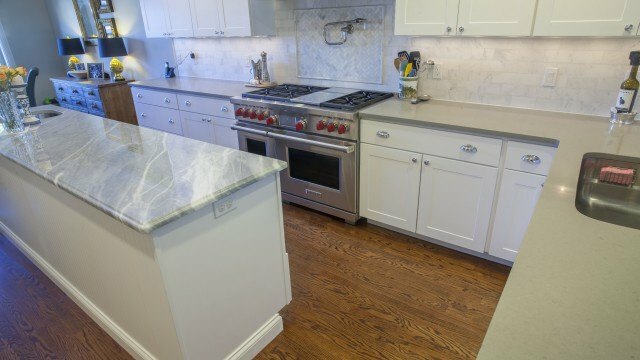 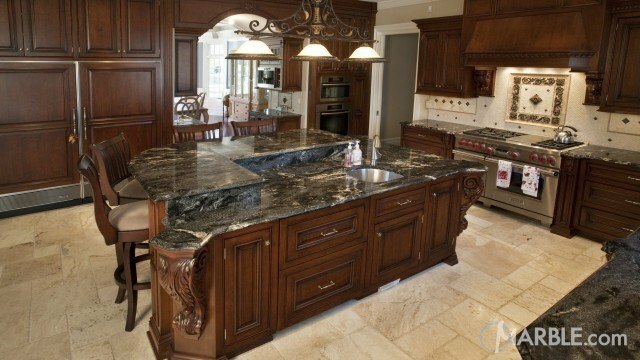 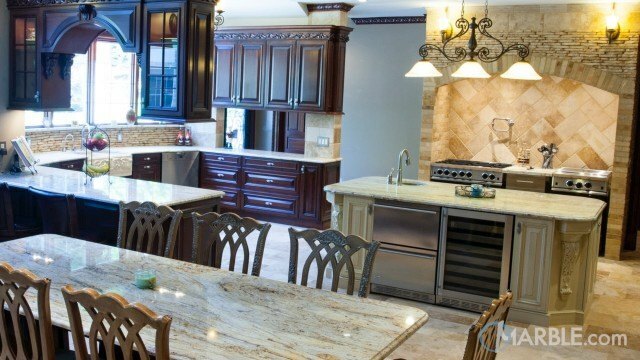 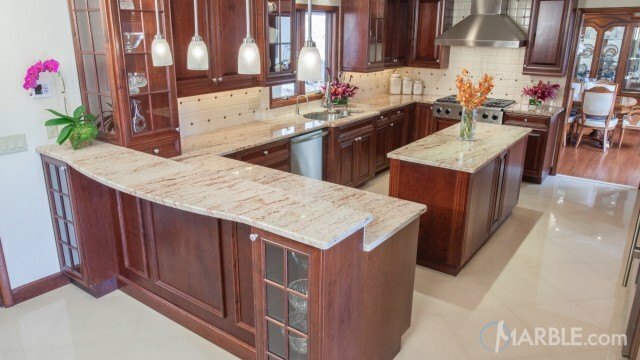 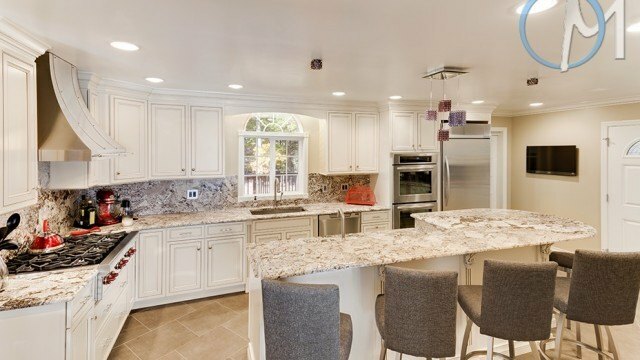 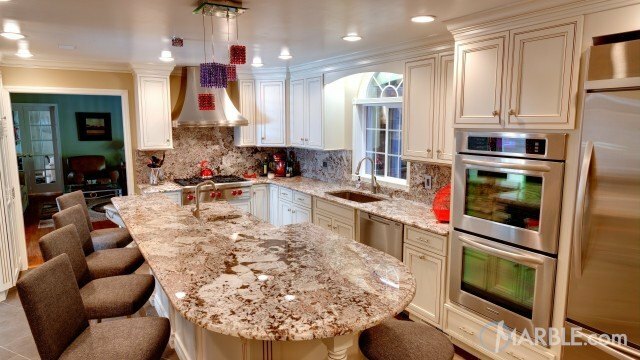 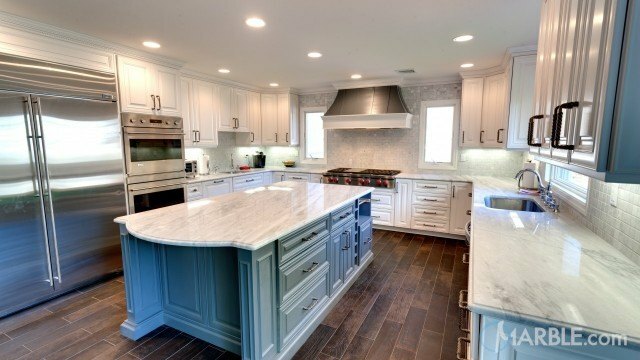 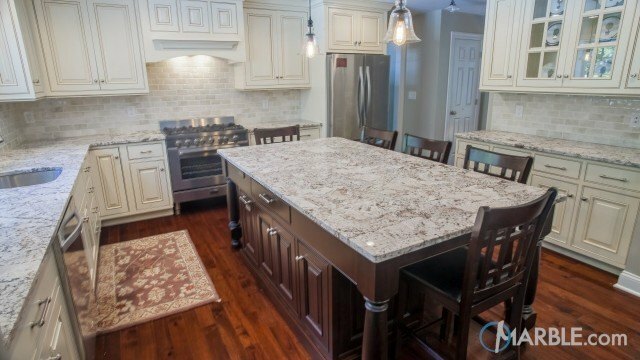 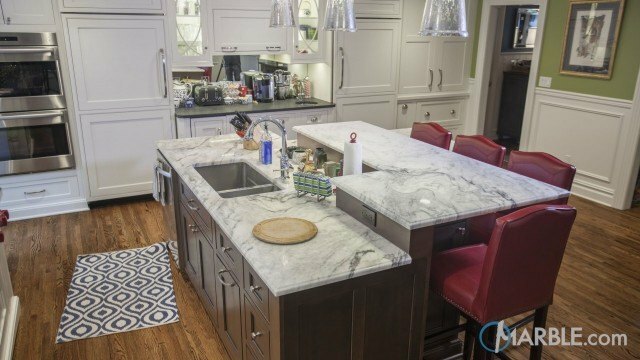 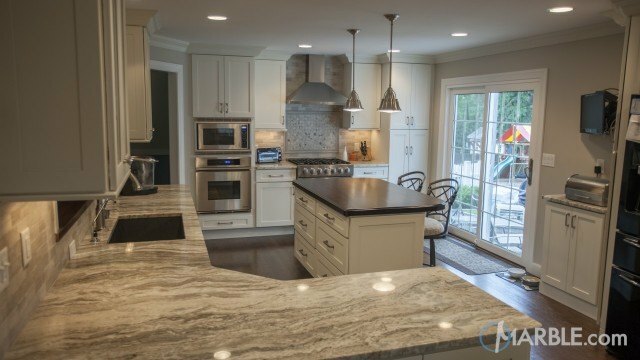 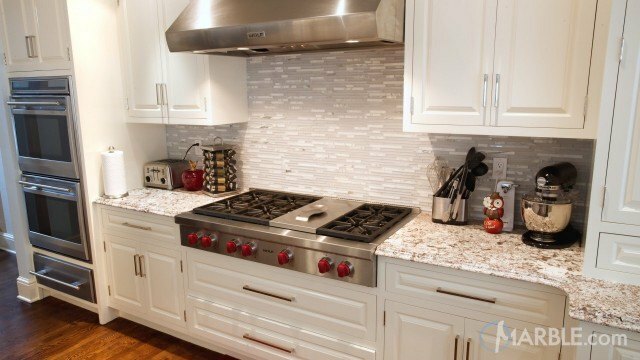 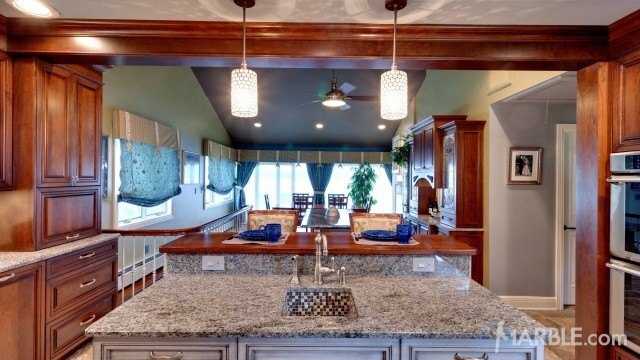 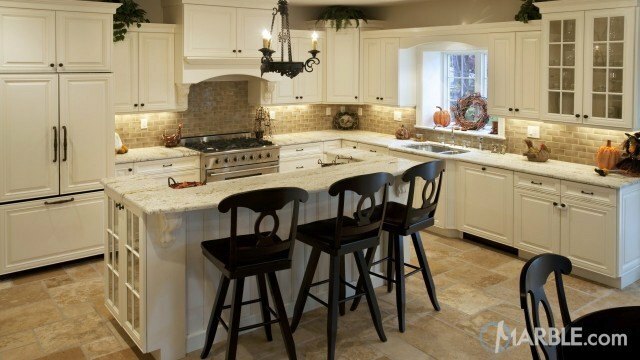 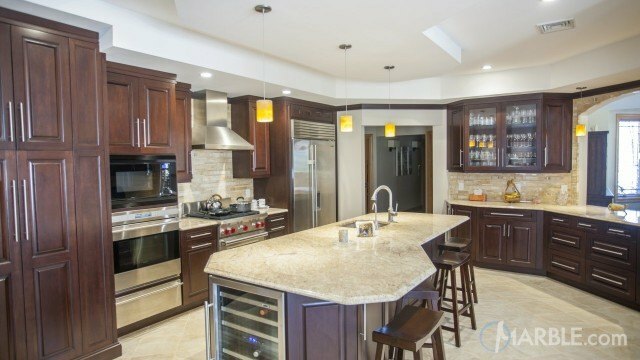 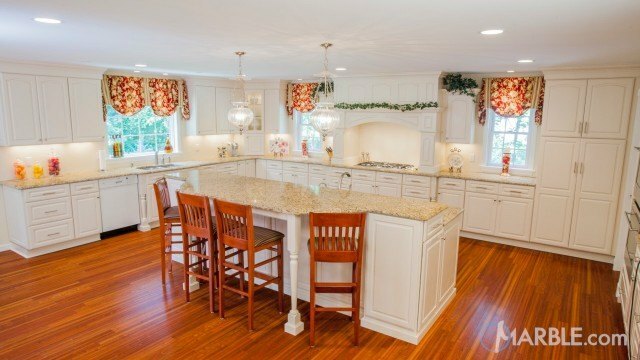 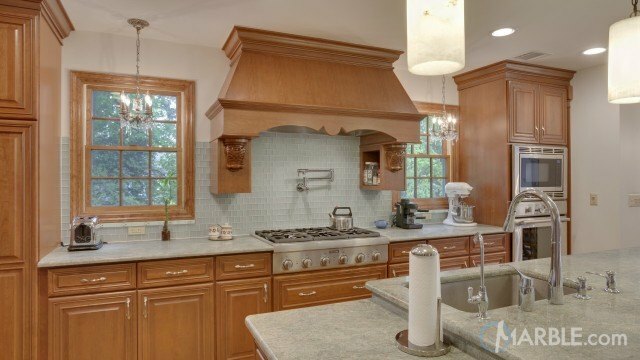 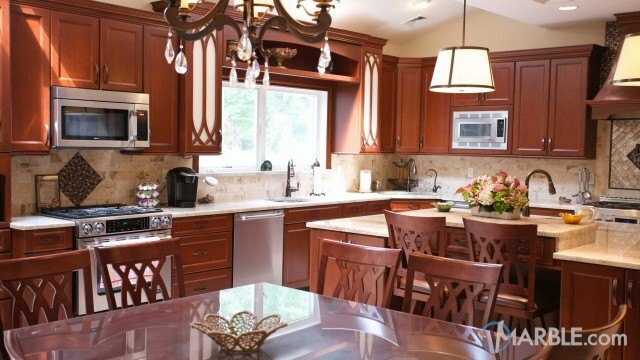 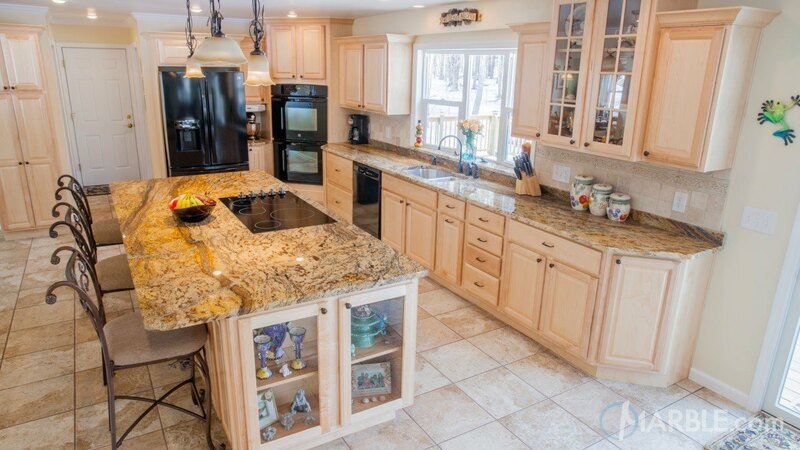 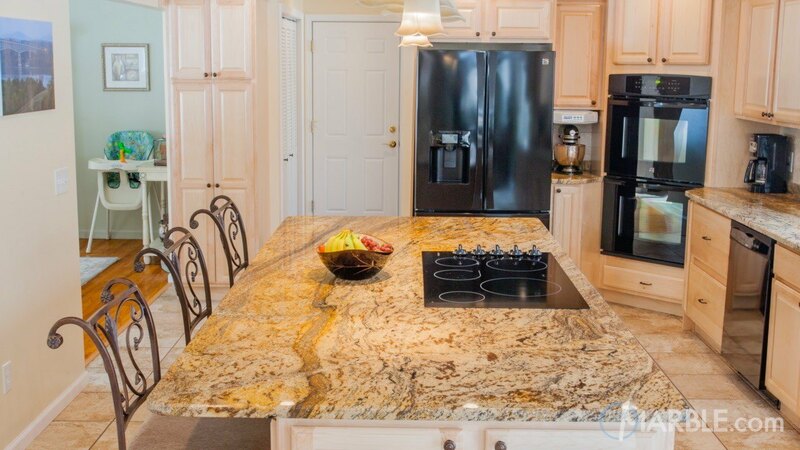 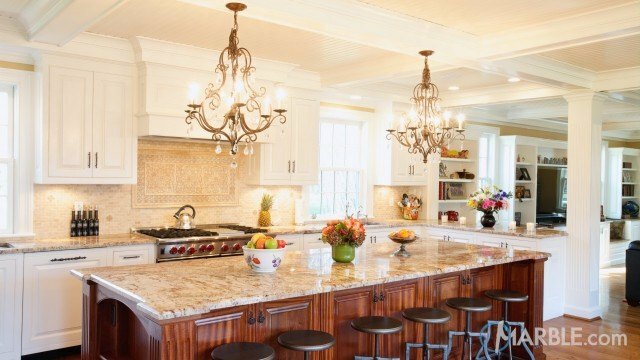 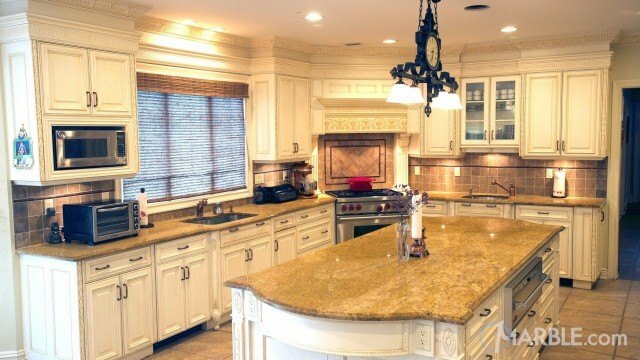 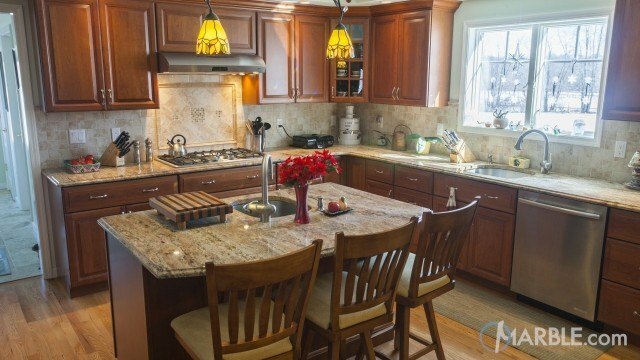 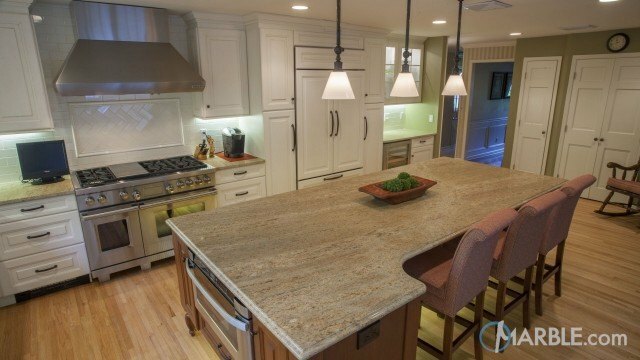 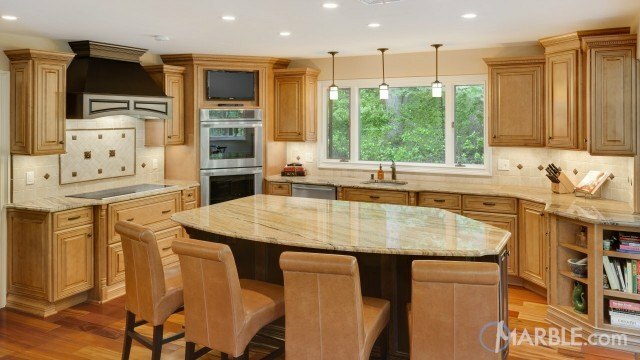 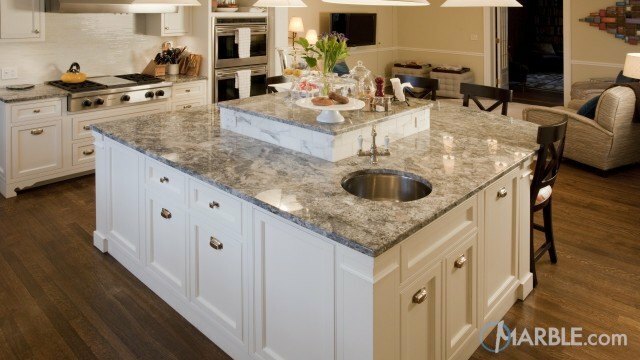 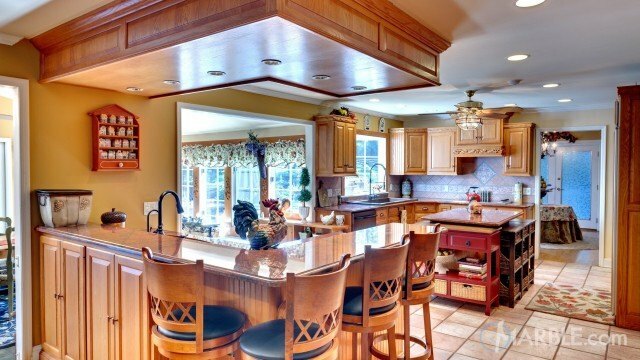 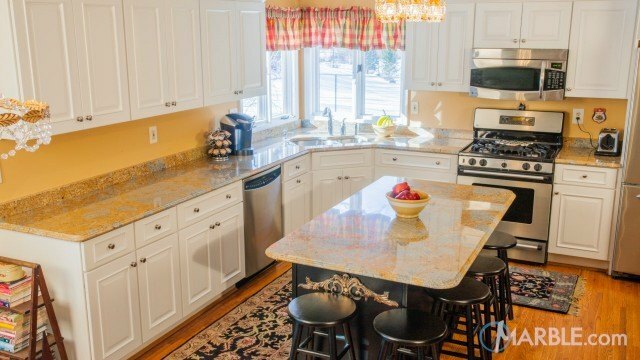 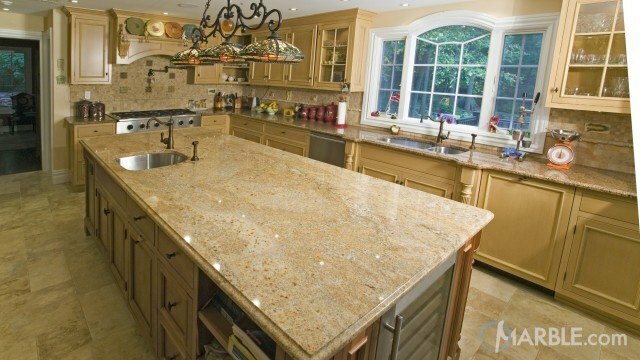 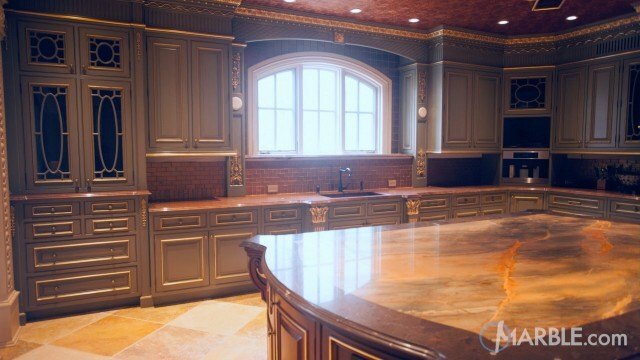 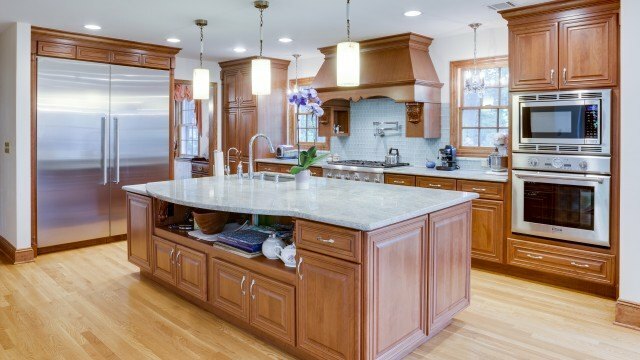 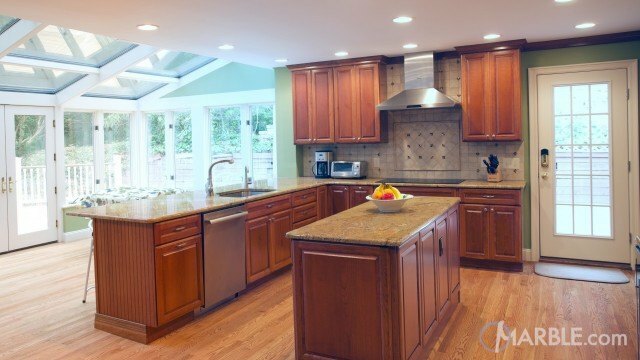 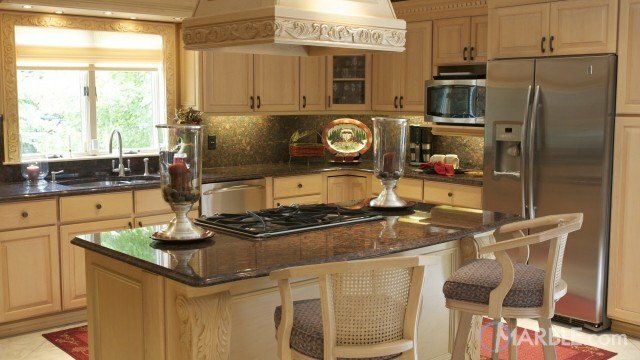 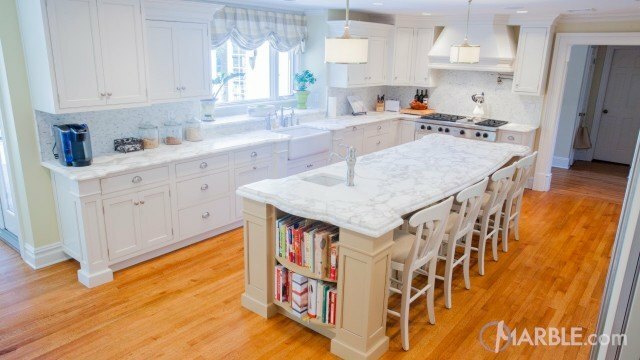 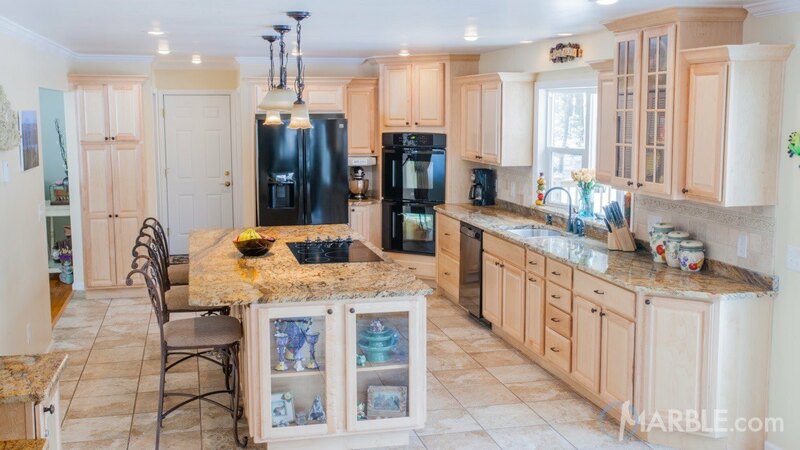 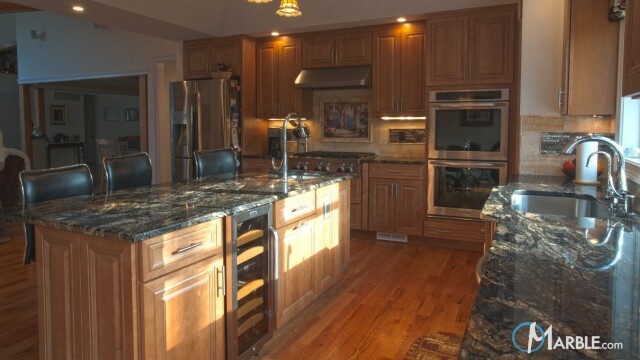 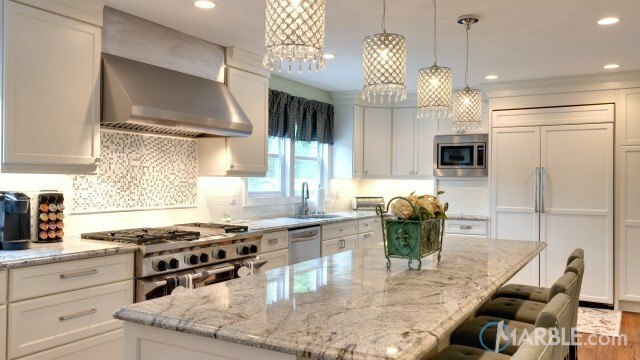 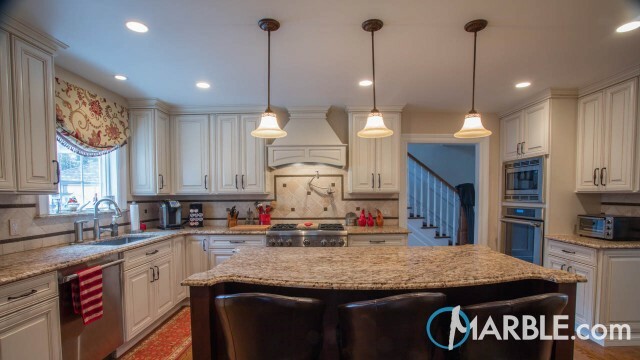 The focal point of this kitchen is its granite counter tops with its large veining in the island and perimeter.